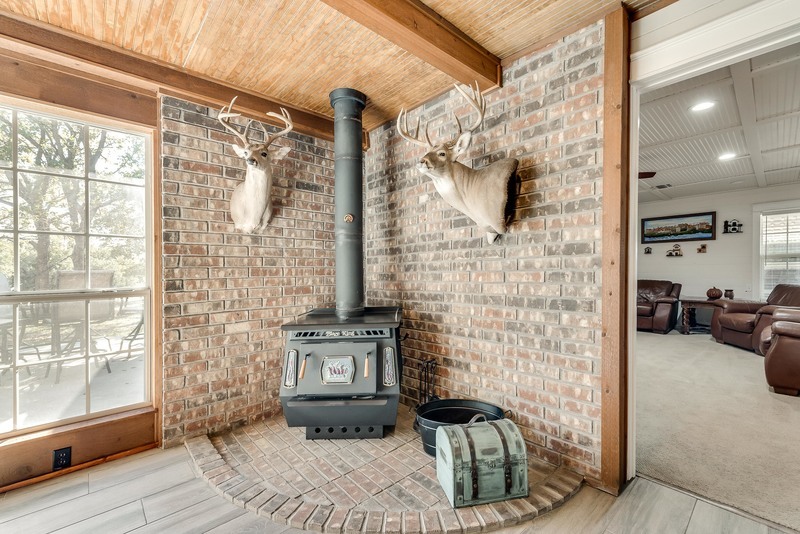 An outdoors enthusiasts dream! 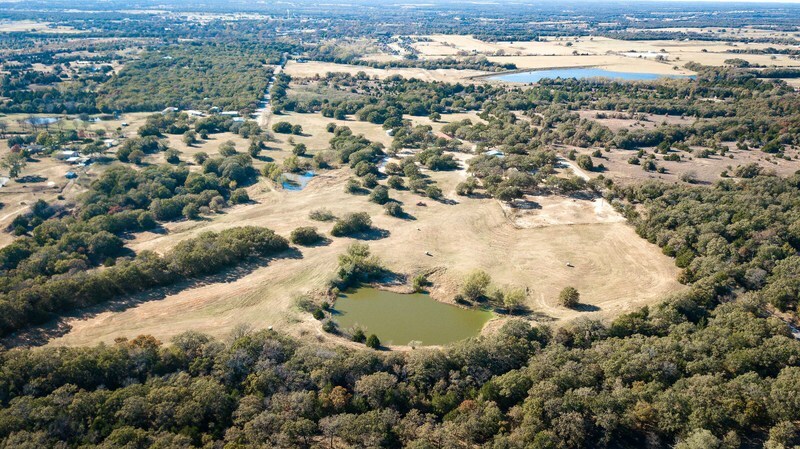 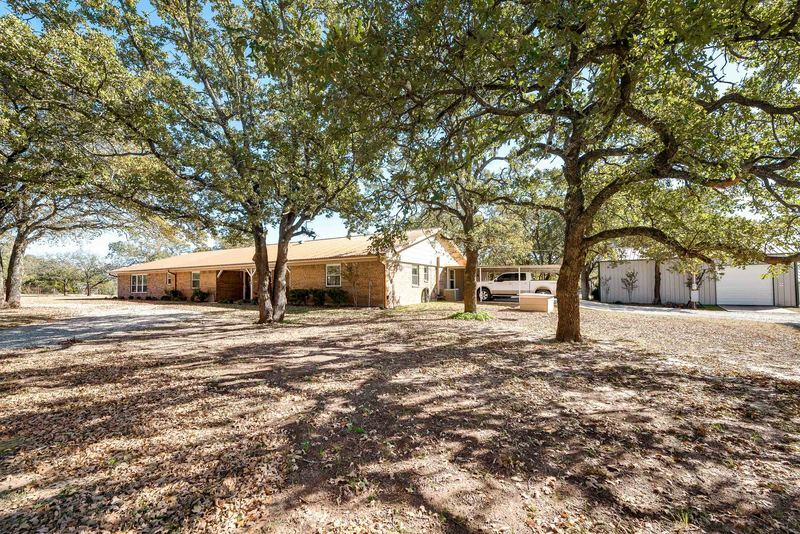 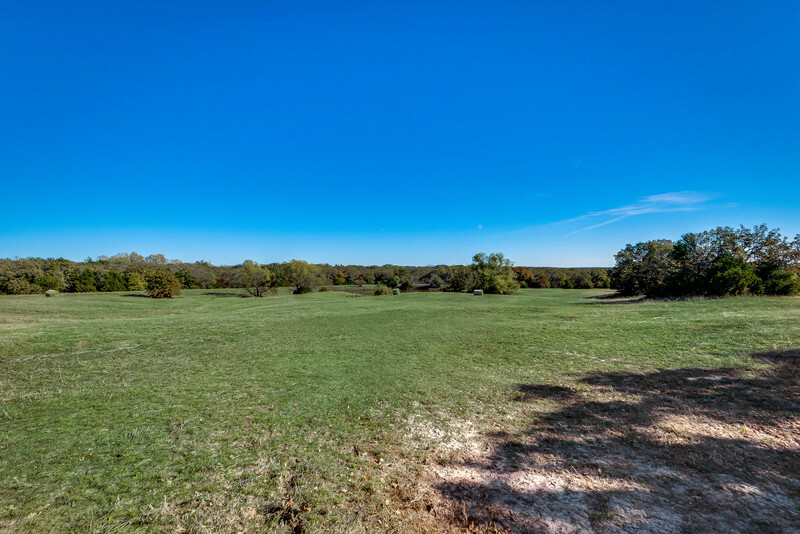 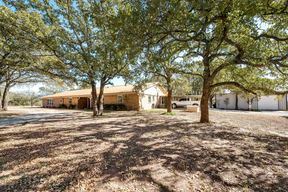 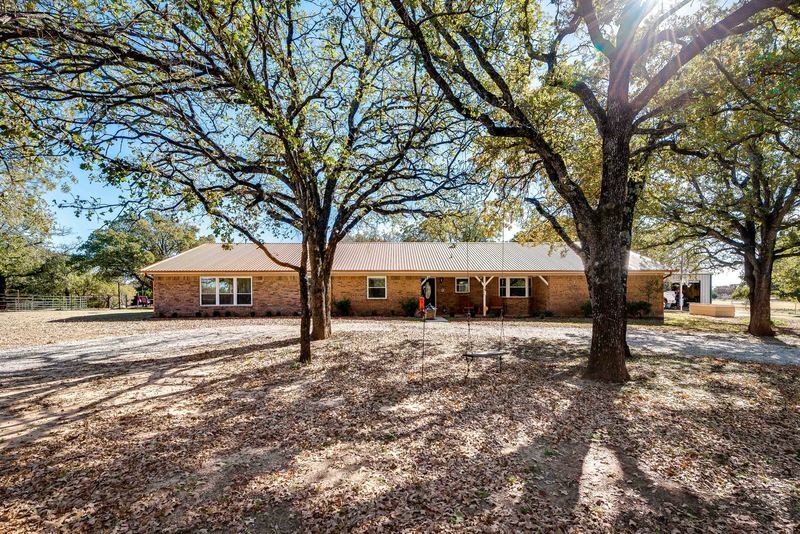 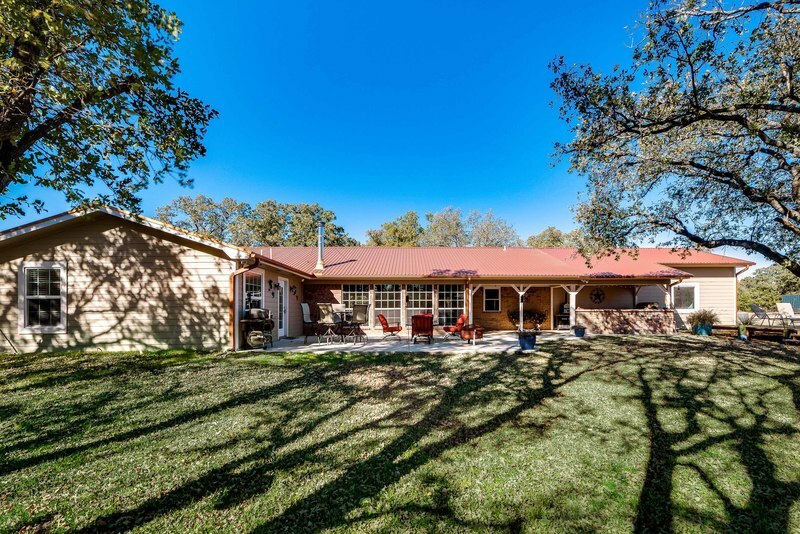 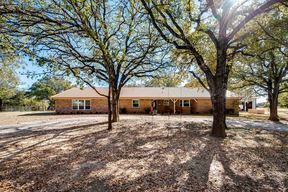 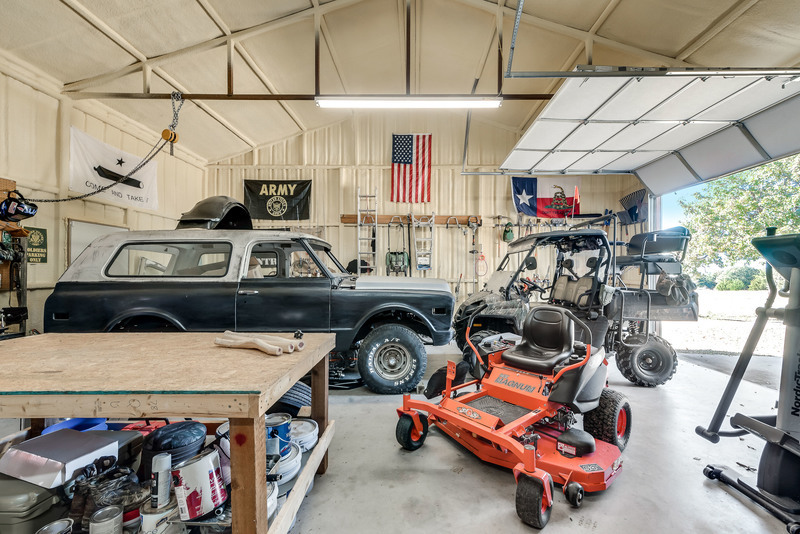 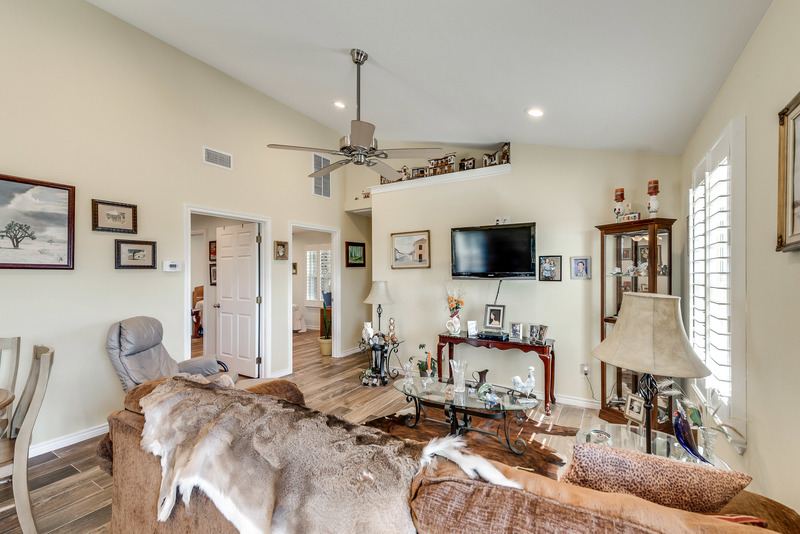 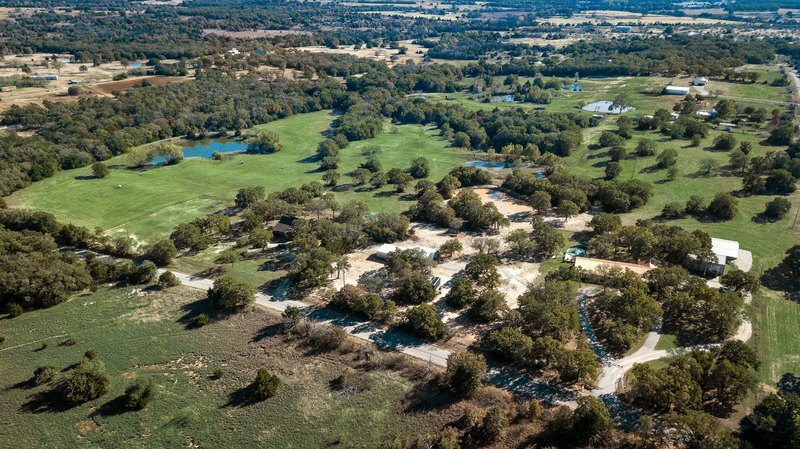 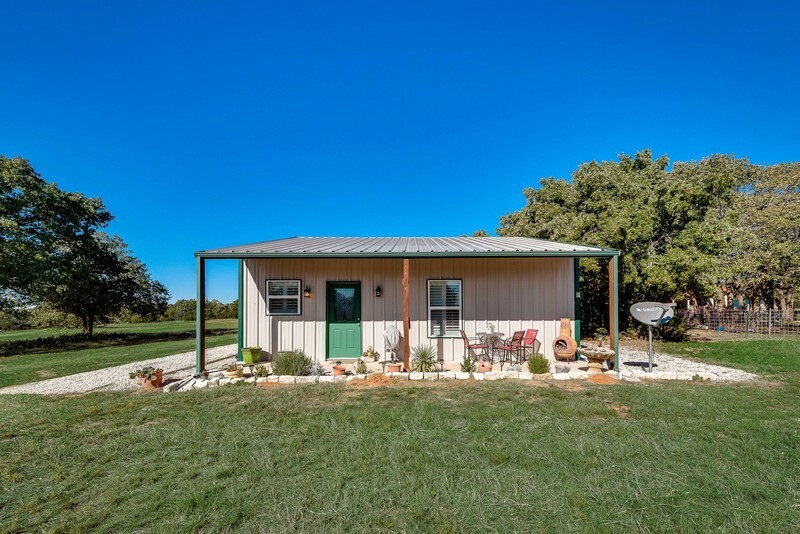 This gorgeous 3595 sqft 3 bed 4 bath home is set on 40 acres adjacent to the LBJ National Grasslands. 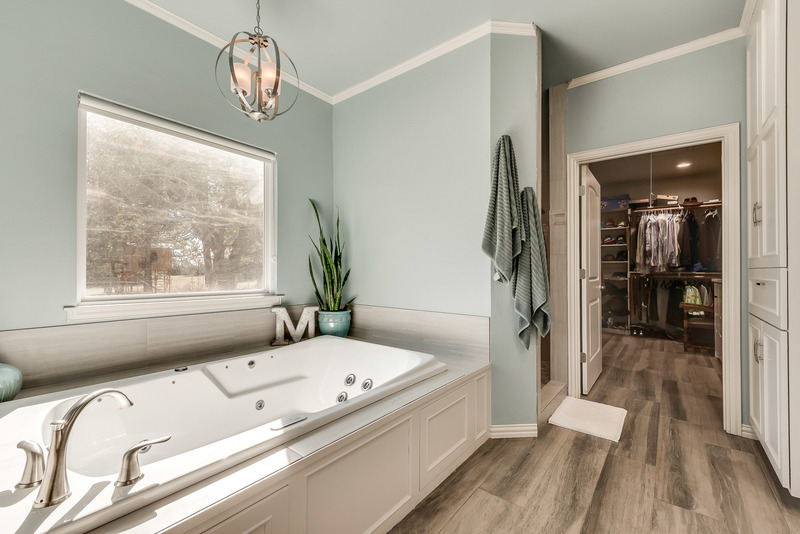 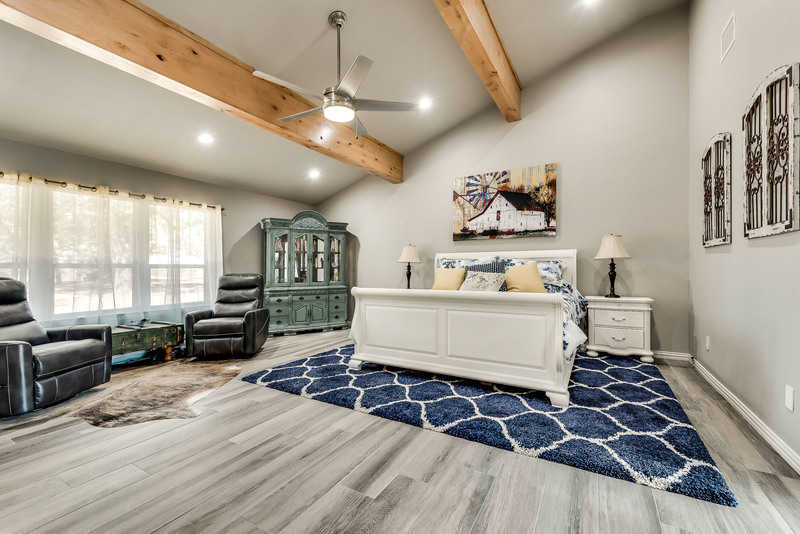 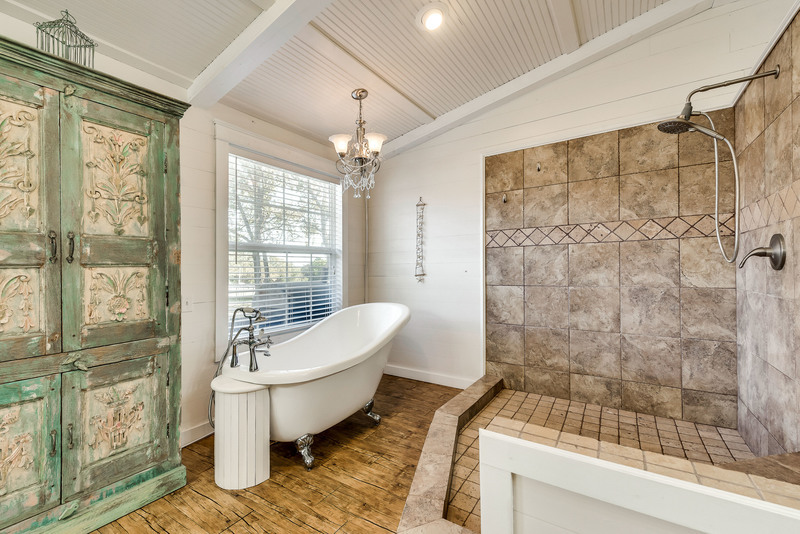 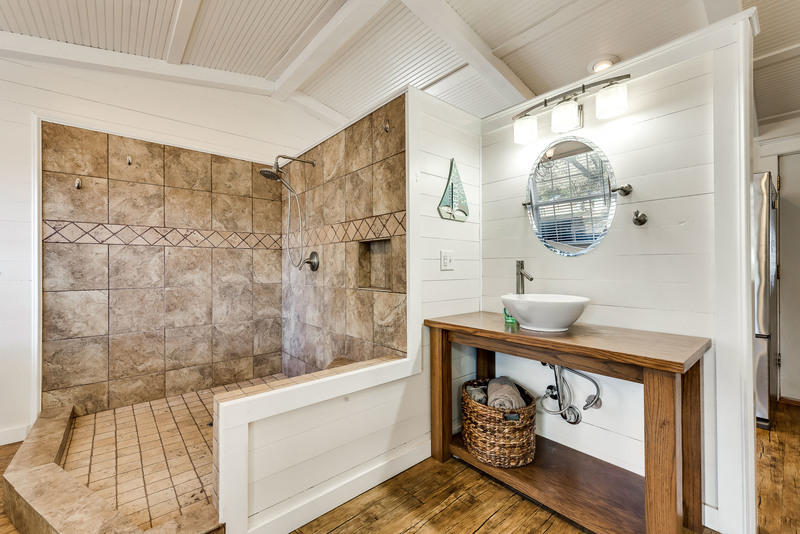 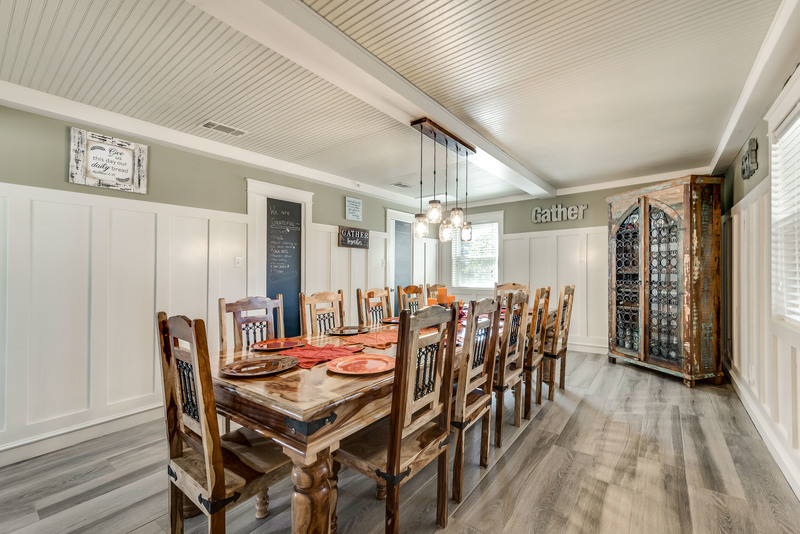 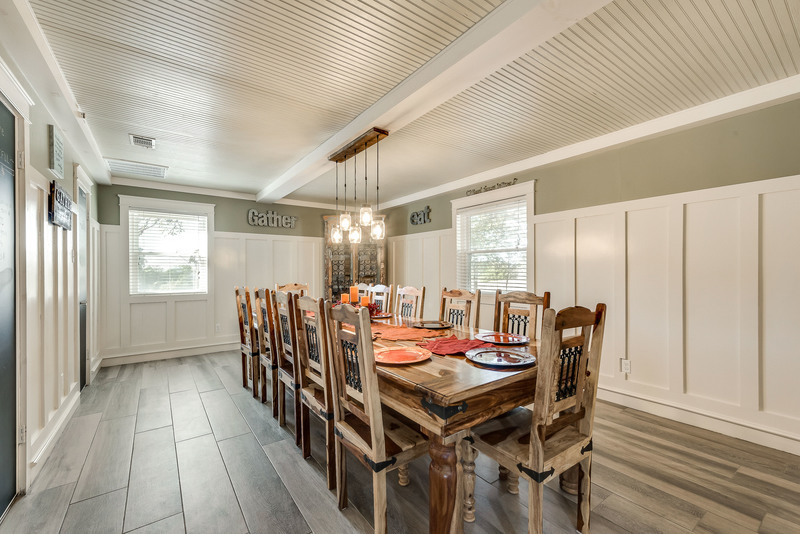 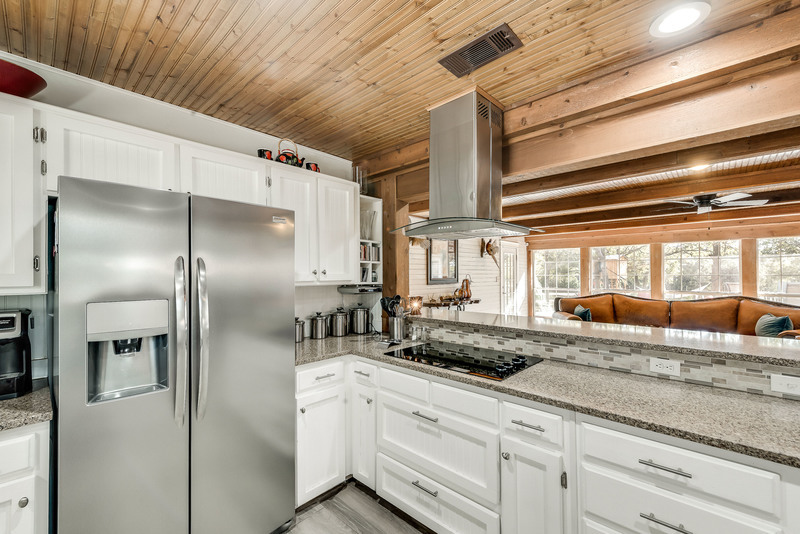 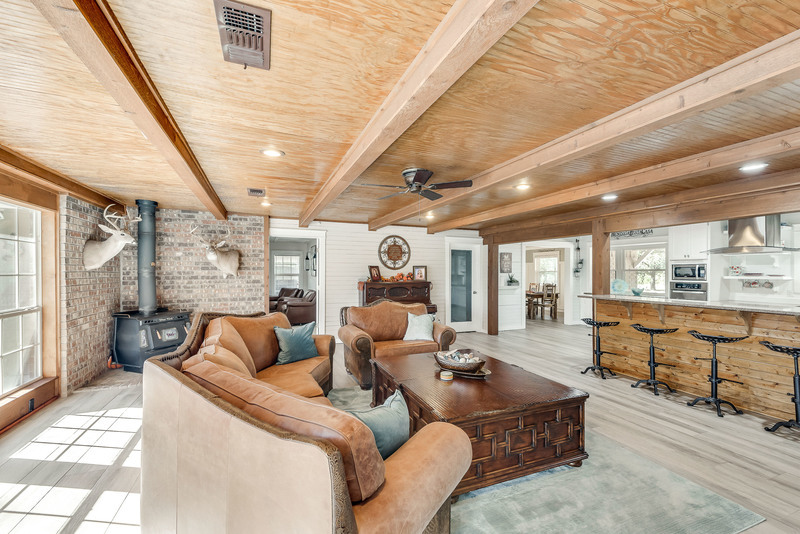 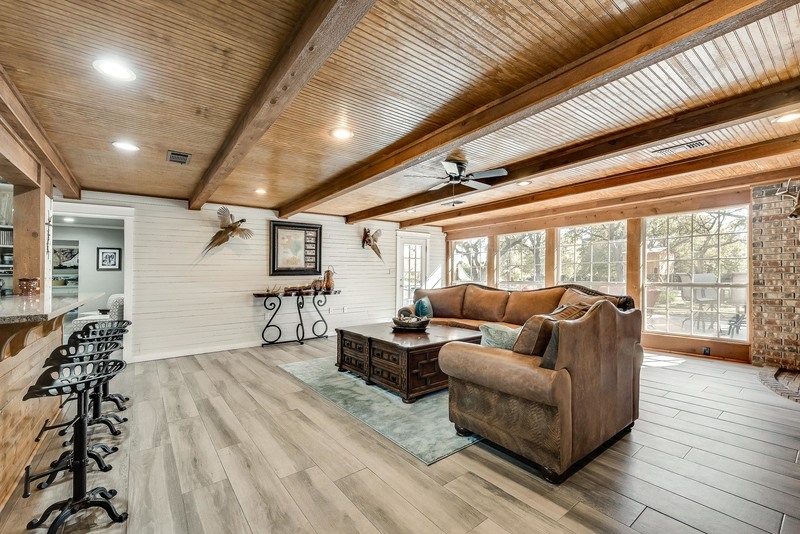 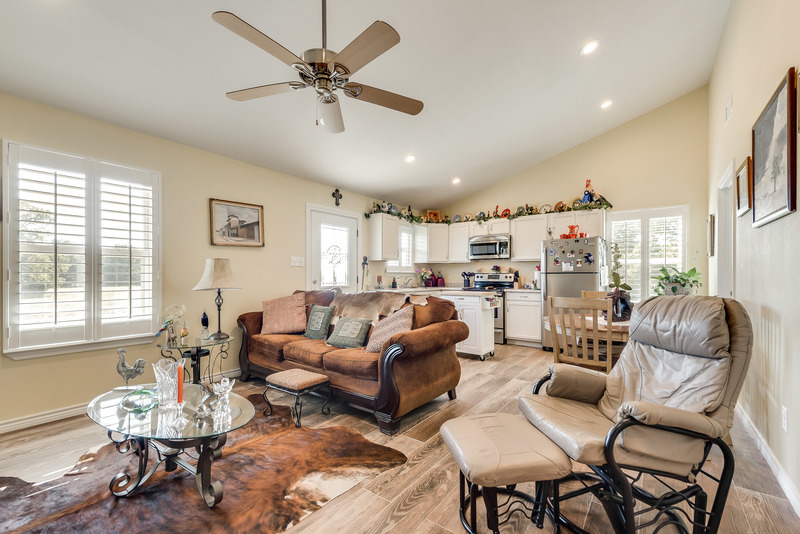 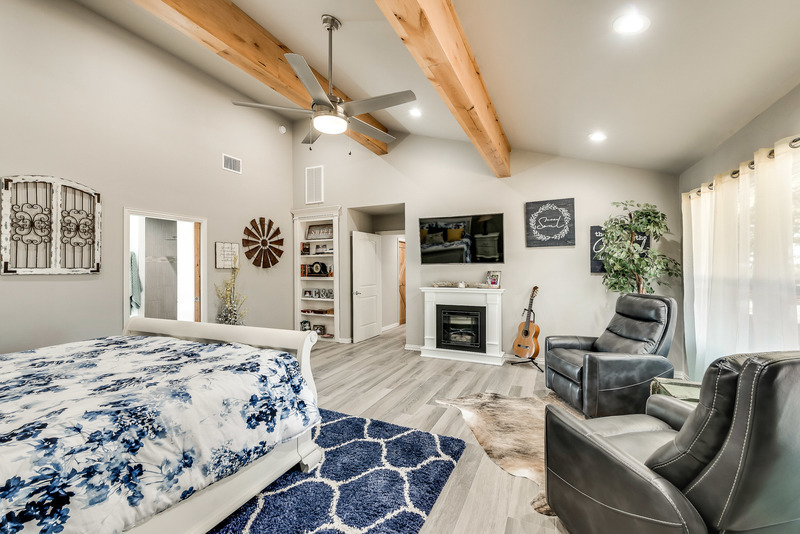 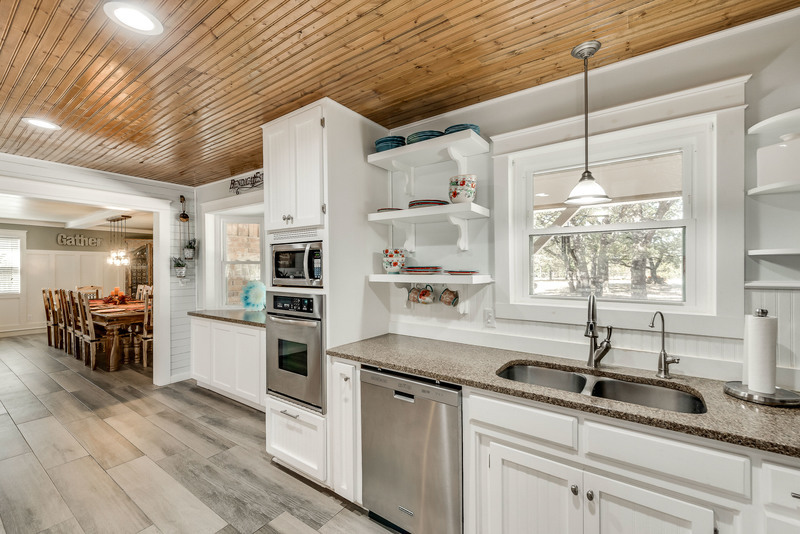 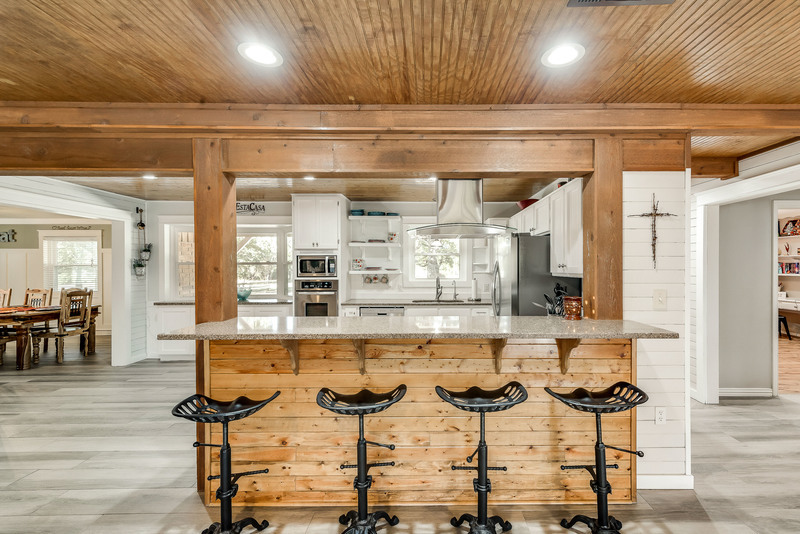 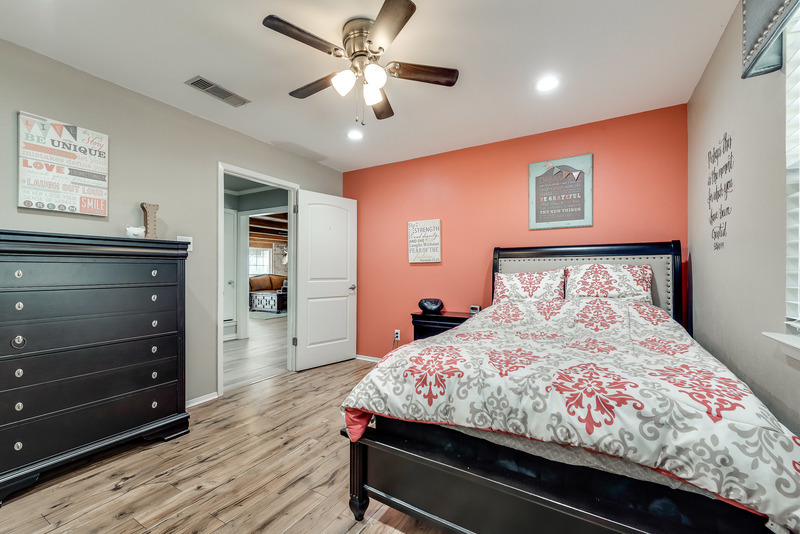 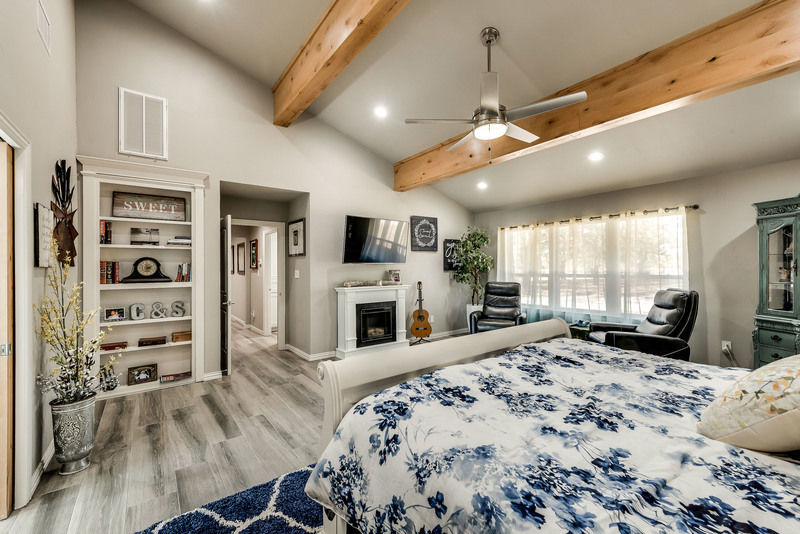 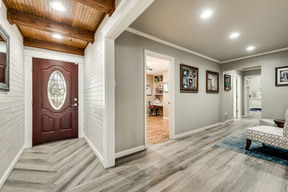 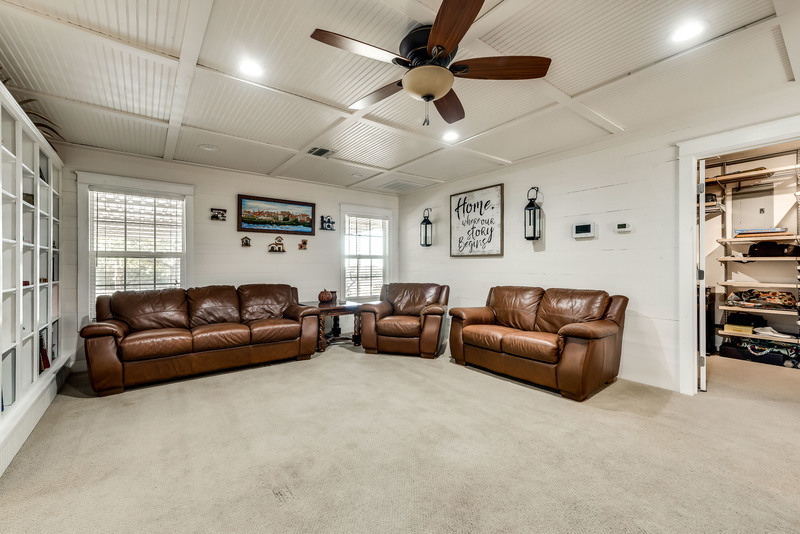 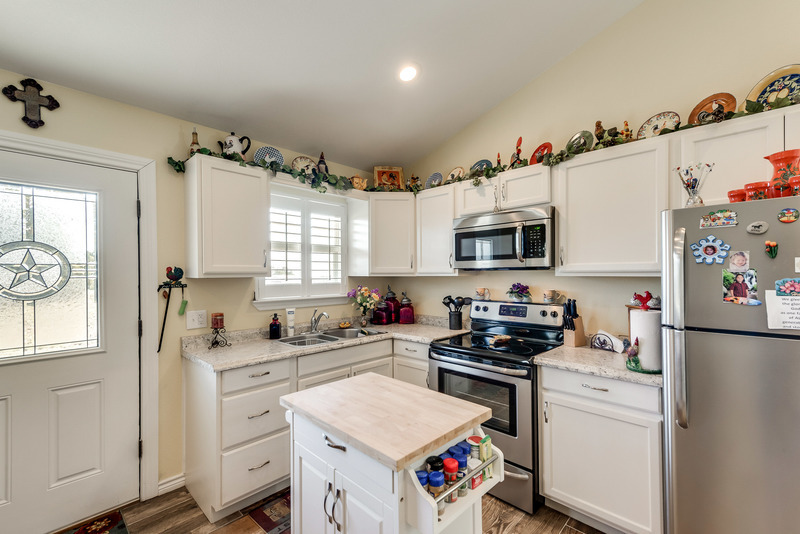 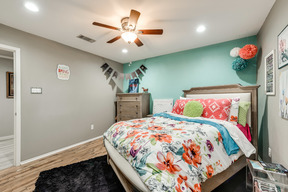 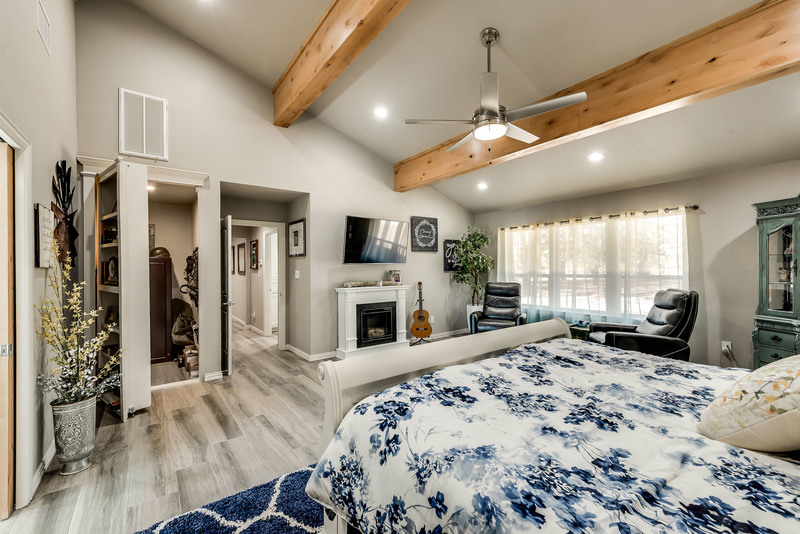 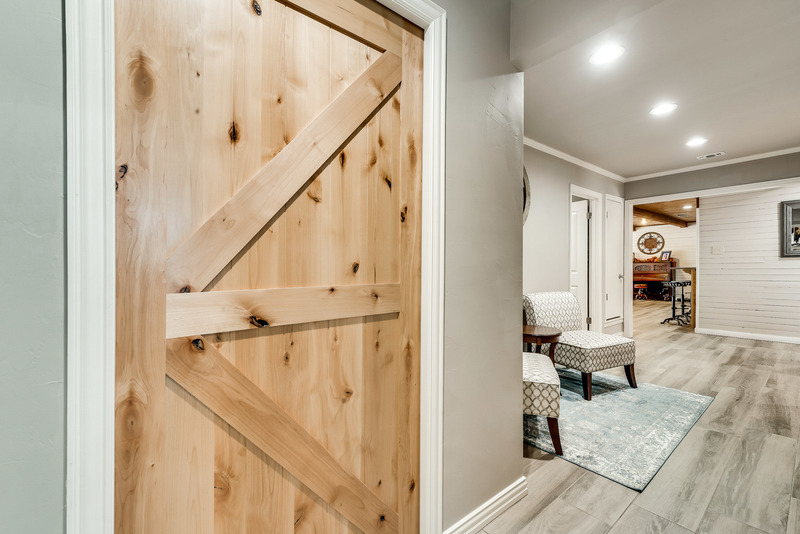 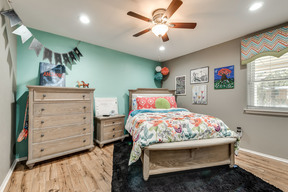 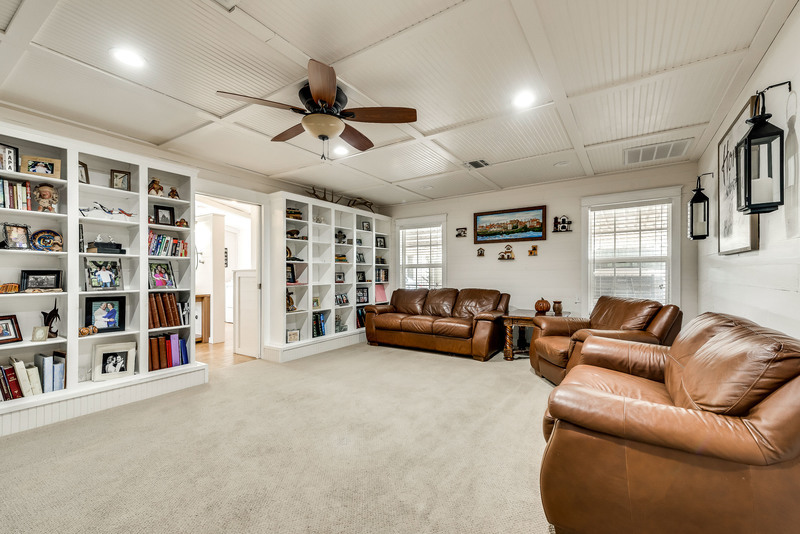 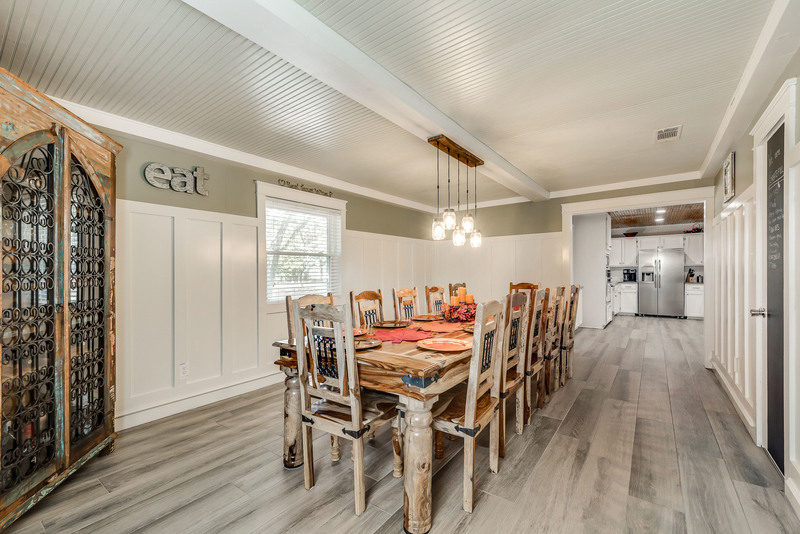 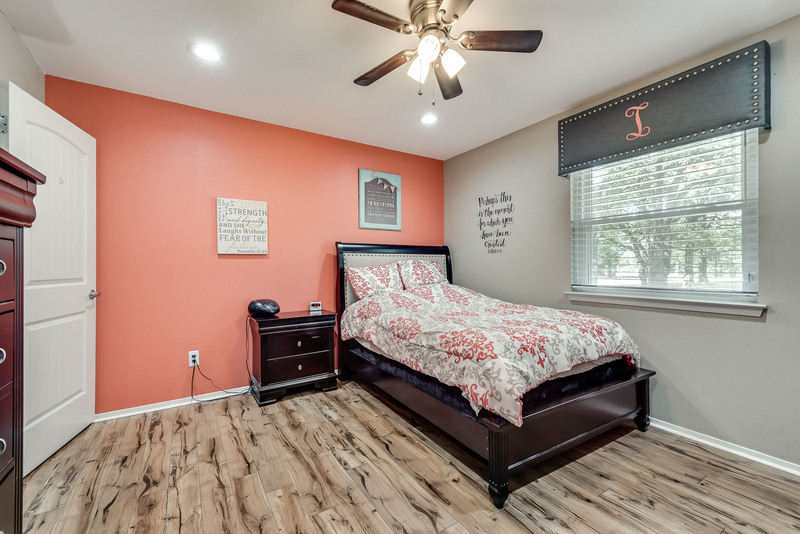 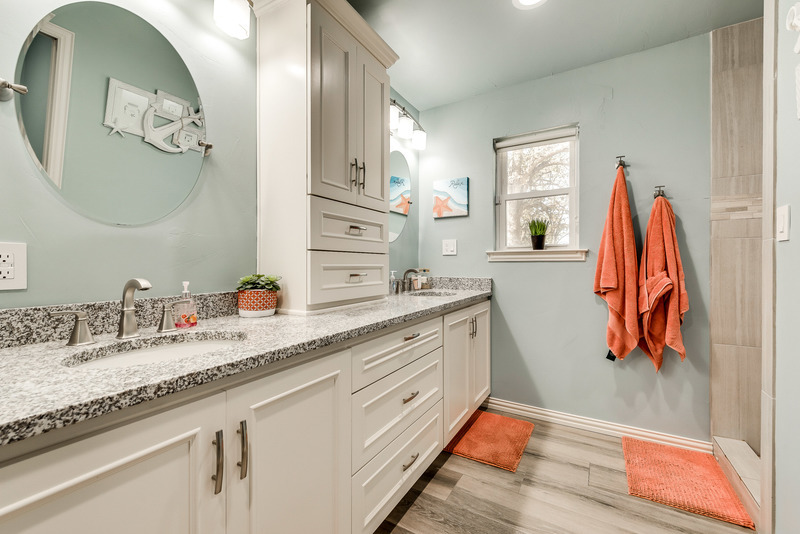 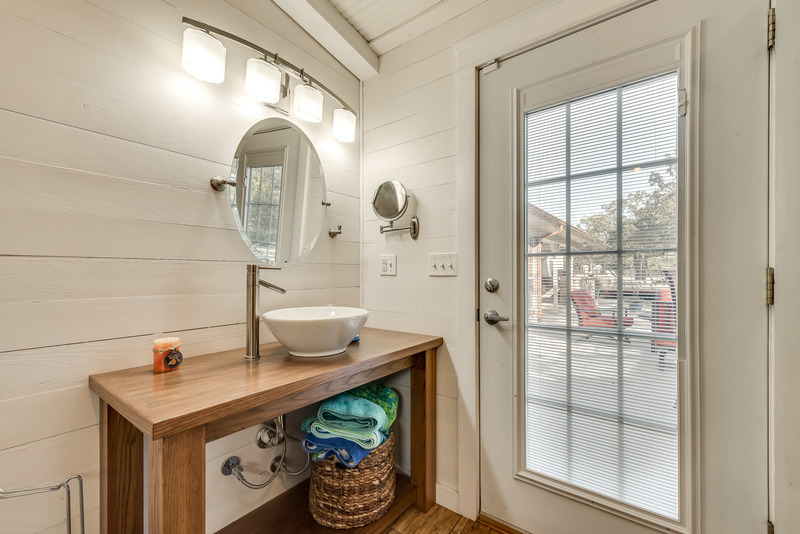 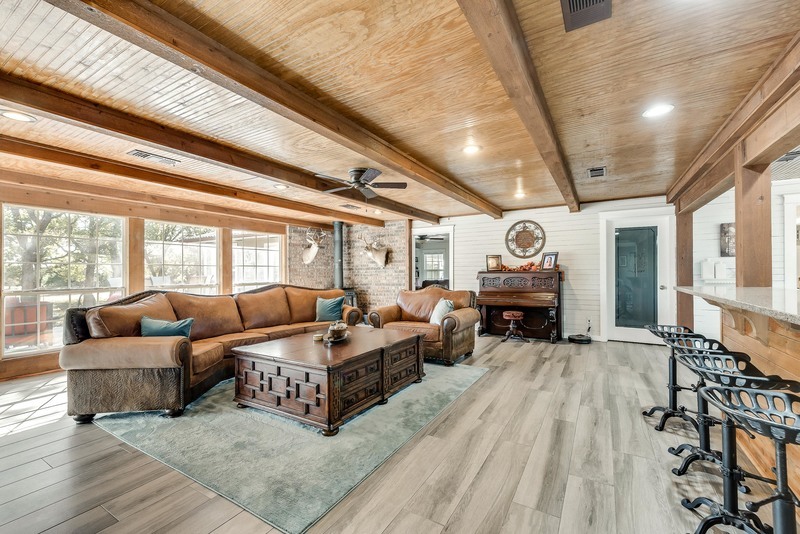 This southern beauty is loaded with upgrades, remodeled kitchen and baths, wood look tiles floors, shiplap walls, and a huge master suite with vaulted wood beamed ceilings in a brand new 1000 sqft addition. 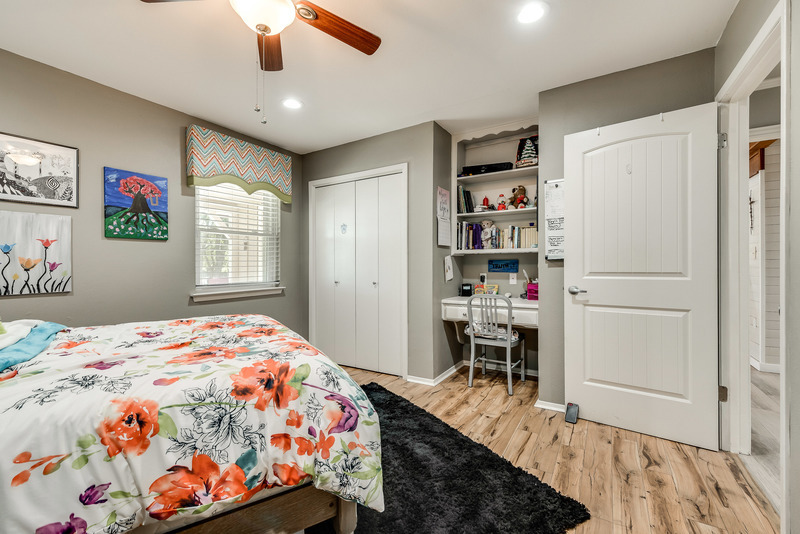 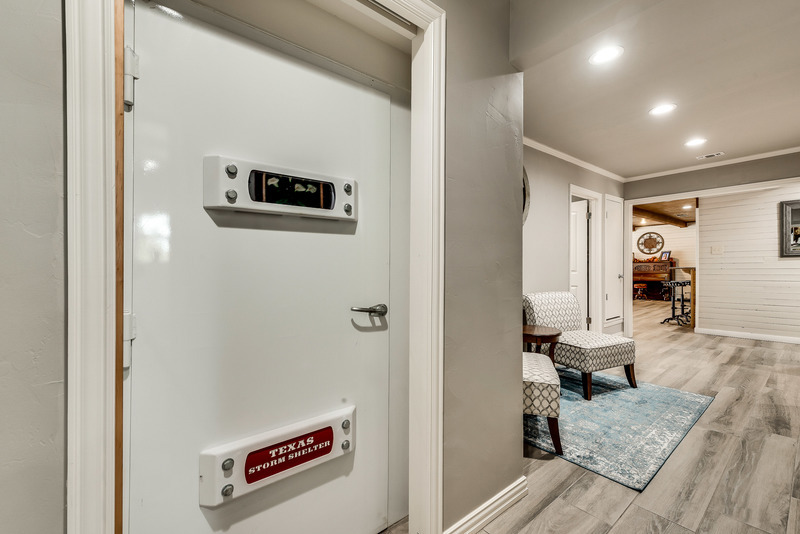 An F5 rated 6 person storm shelter / safe room, discretely tucked in the hallway near the bedrooms, was added in 2017. 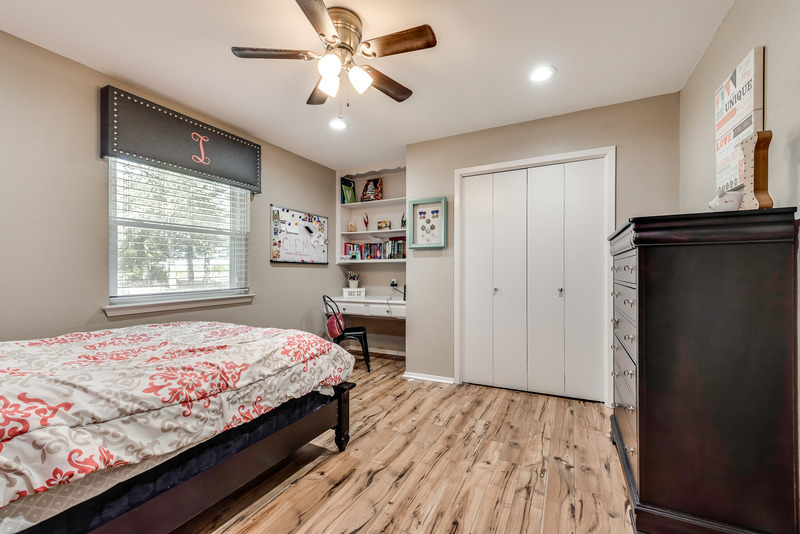 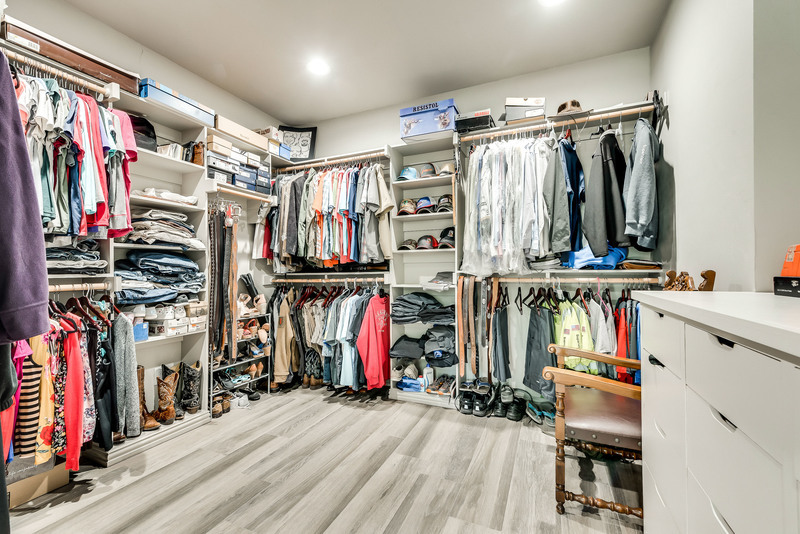 The home also boasts a secret room hidden behind the bookcase in the master bedroom. 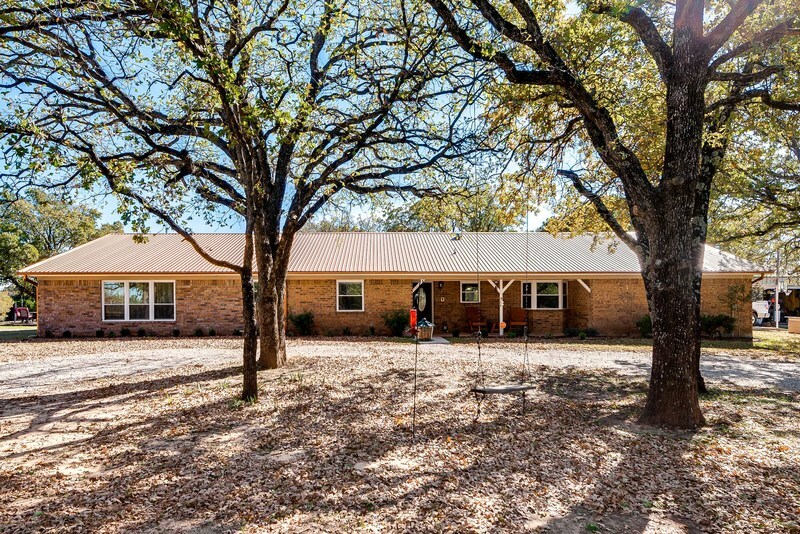 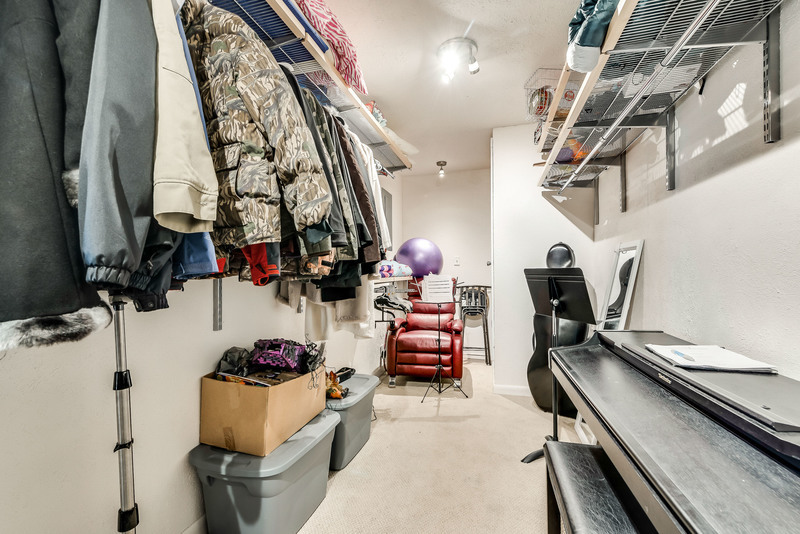 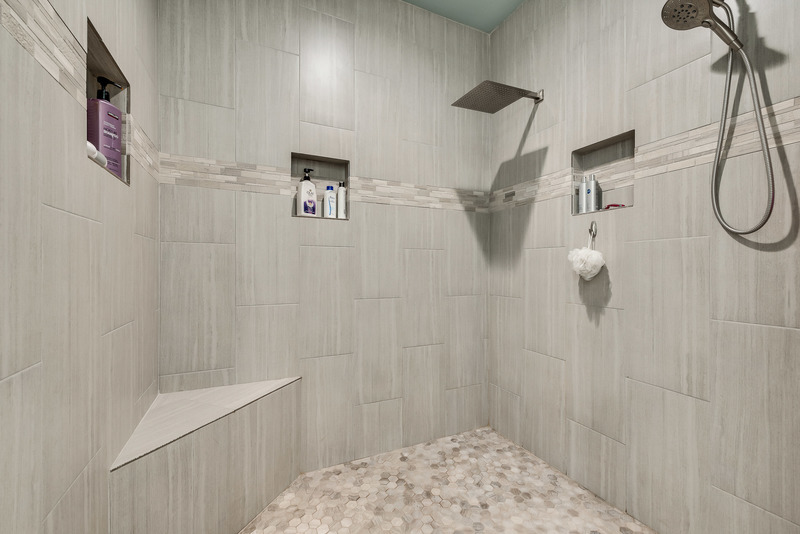 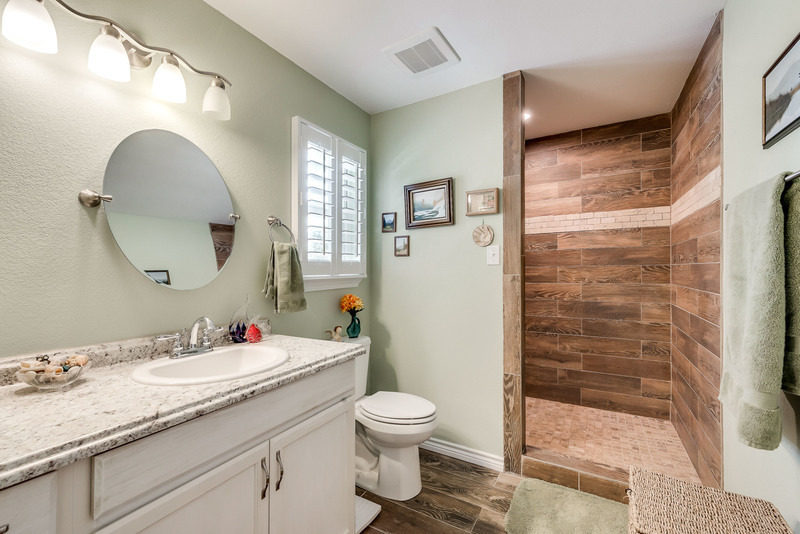 The home has wide door frames and a shower that are handicap accessible. 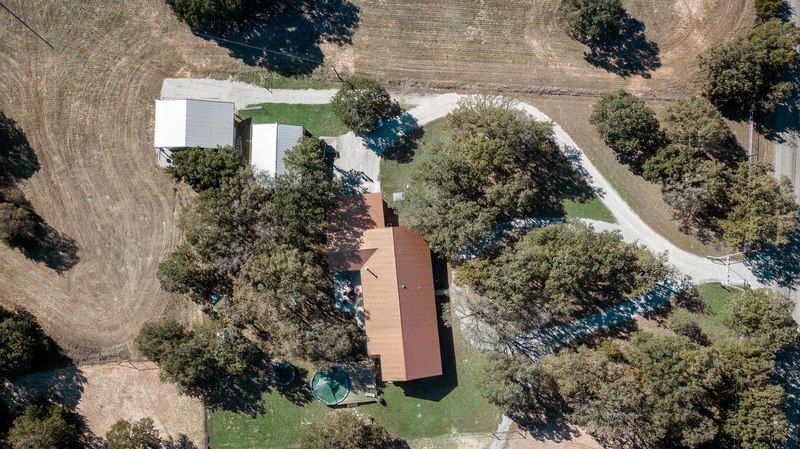 The home has a water well with no water bill. 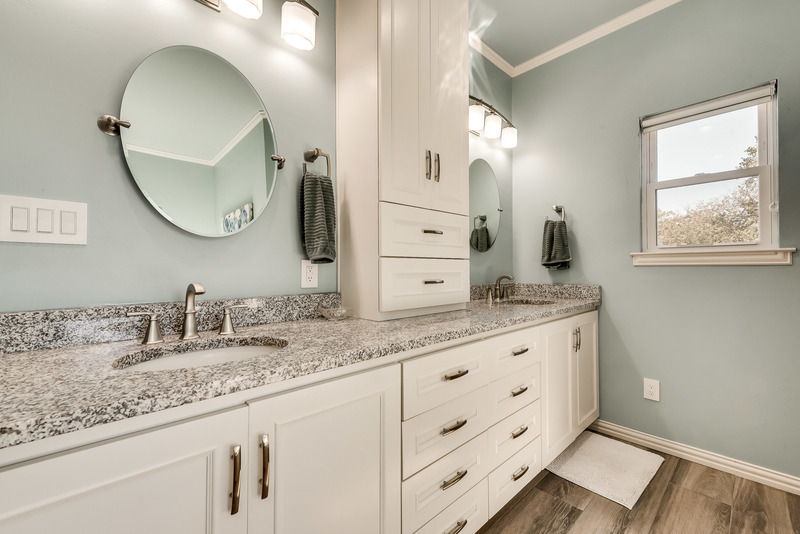 A large commercial water softener which was purchased and installed in 2016. 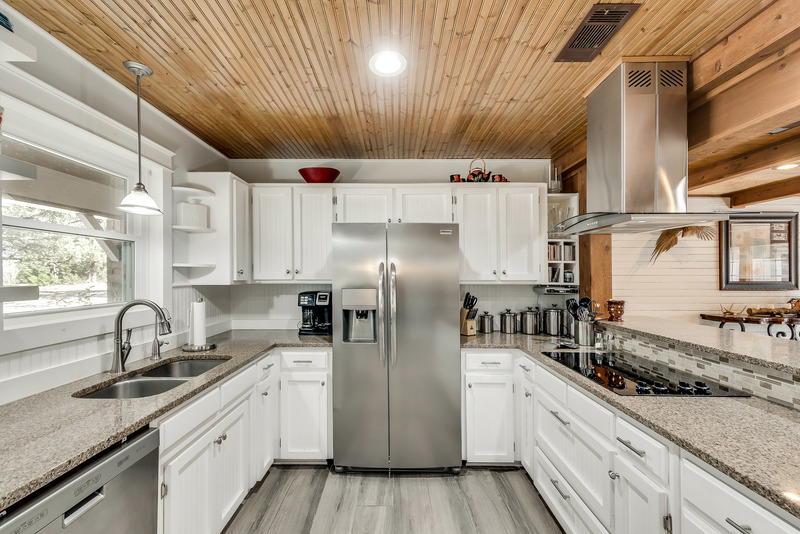 A reverse osmosis drinking water system was also installed and is located at the kitchen sink with it's own tap. 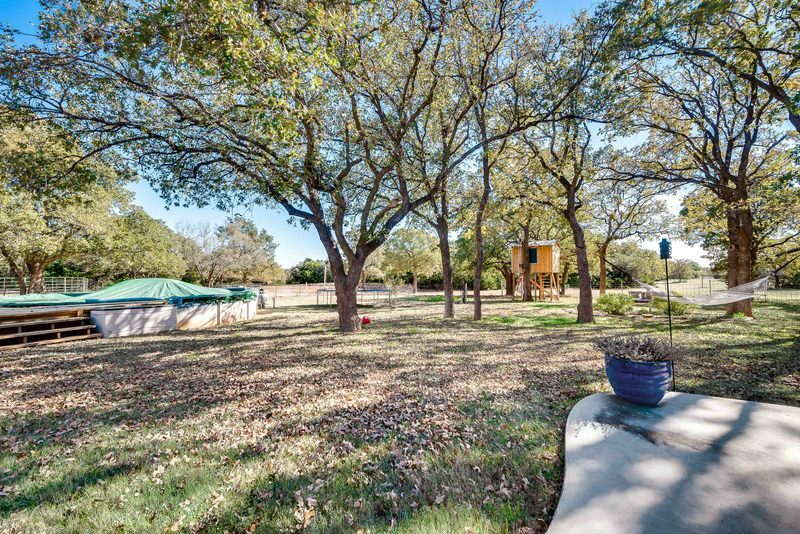 Out back you’ll find a large tree shaded patio that’s perfect for outdoor entertaining. 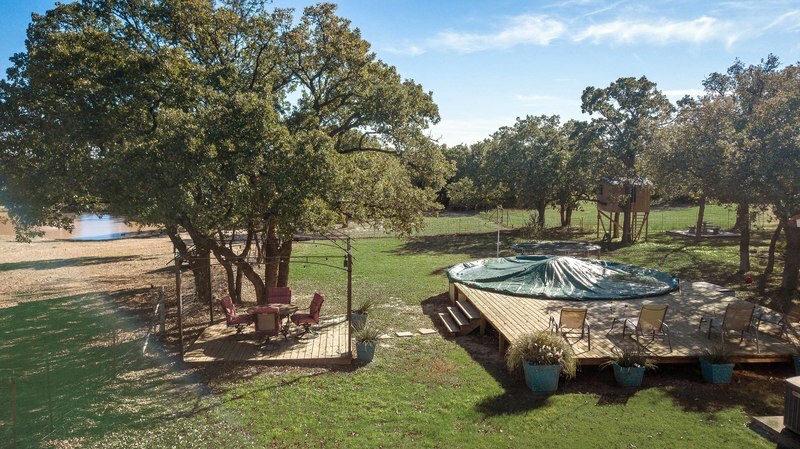 The 15,000 gallon Baquacil above ground pool is surrounded by a treated wood deck, and is the ideal place to hang out on those hot summer days. A 3 car carport is located the on the side of the house. 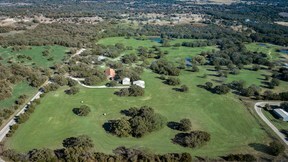 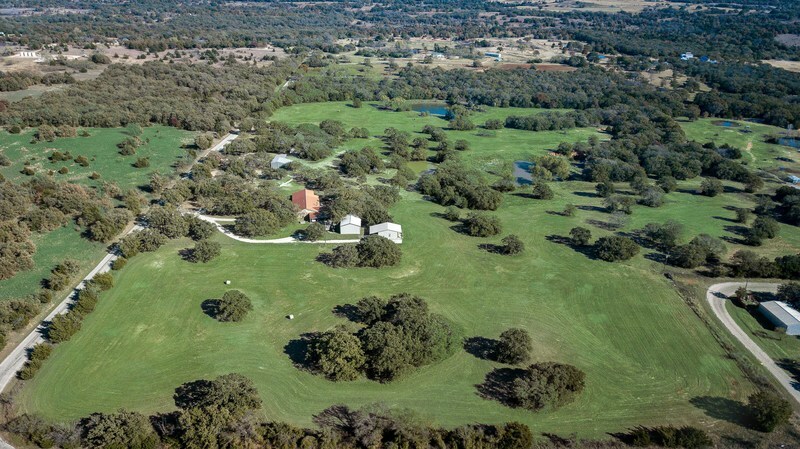 The 40 acres are fully fenced and include a dog run shaded by oak trees, located near the shop. 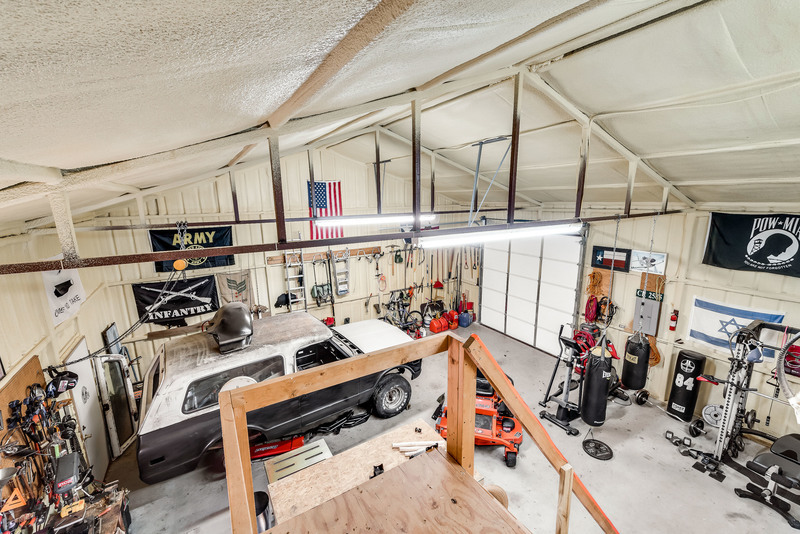 Just steps behind the carport is a 30’x40’ workshop. 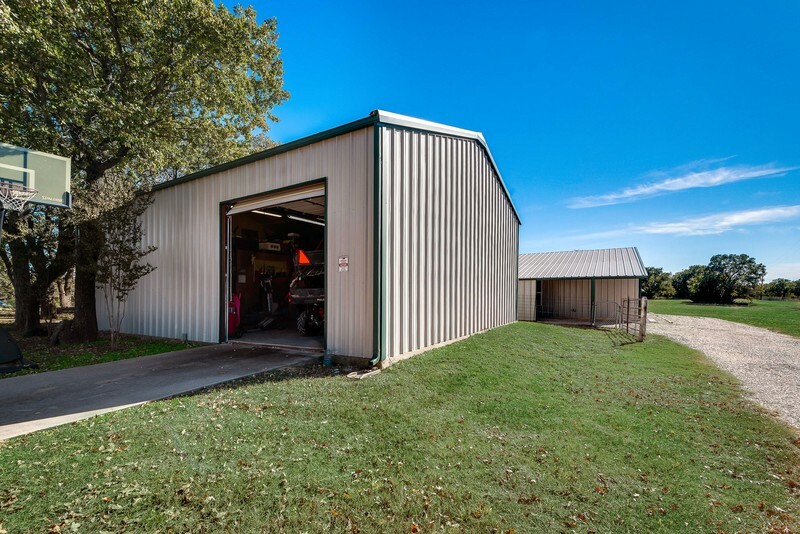 The steel building and roll up door are fully insulated. 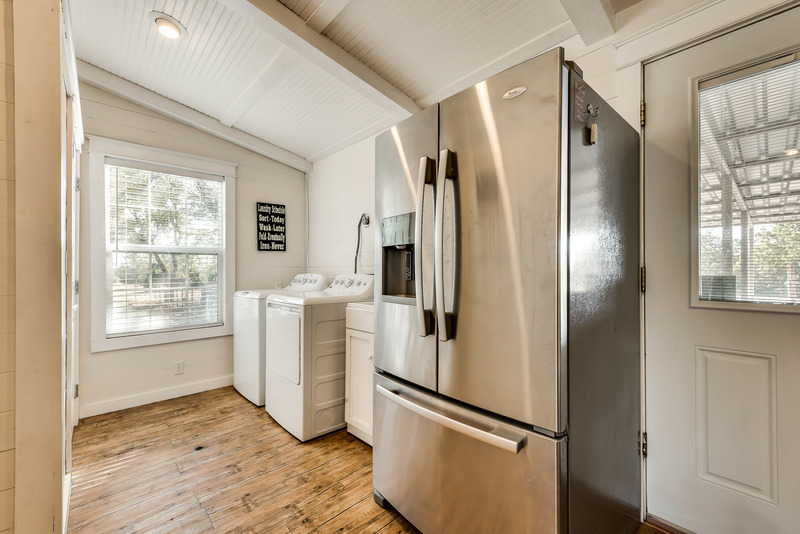 It has full electric, hot water heater, and a sink. 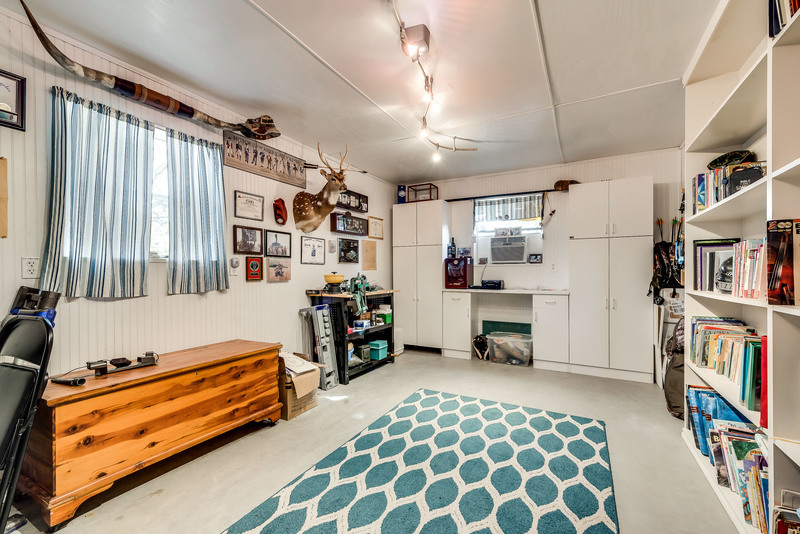 A custom office is located in the workshop and has an A/C window unit. 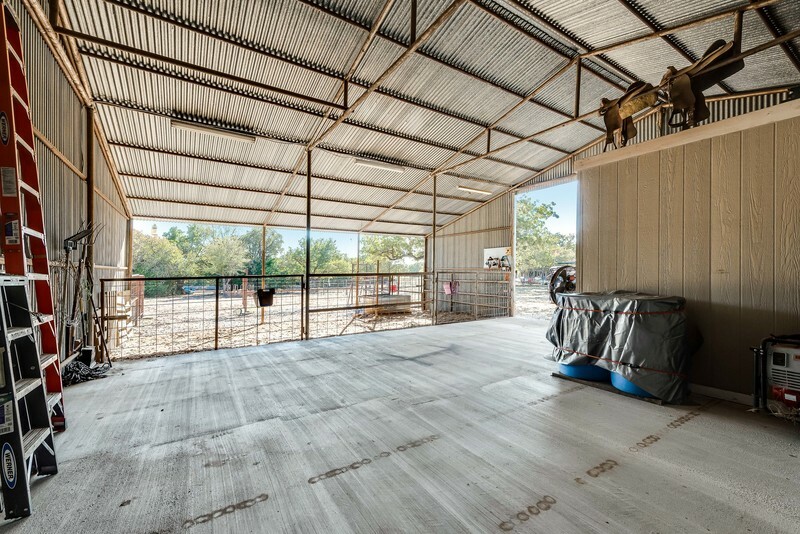 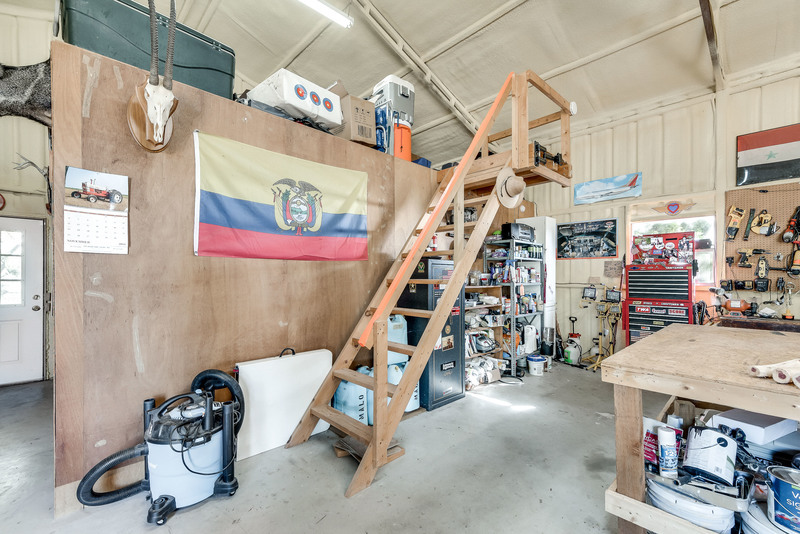 The workshop could also be used as a garage. A newly built 900 sqft guest house is located behind the workshop. 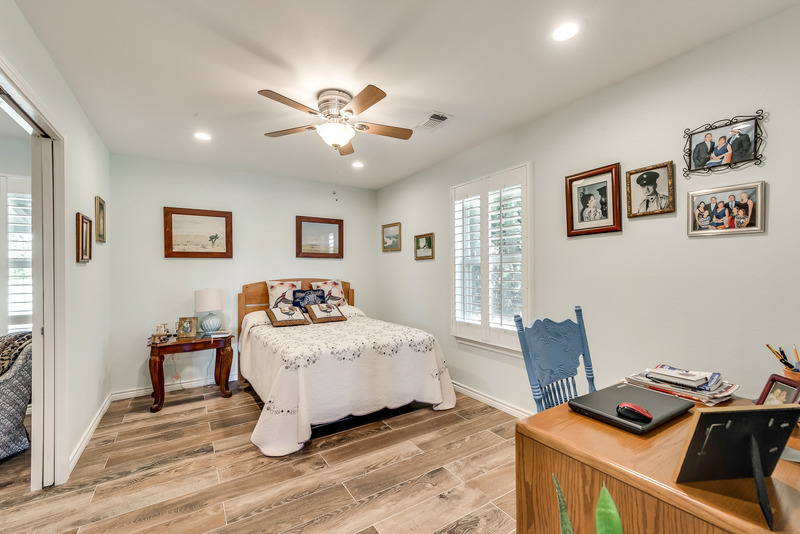 The guest house has a full kitchen, living room, 2 bedrooms, a custom bath with handicap accessible shower, laundry room, wood look tile throughout, and central heat and air. 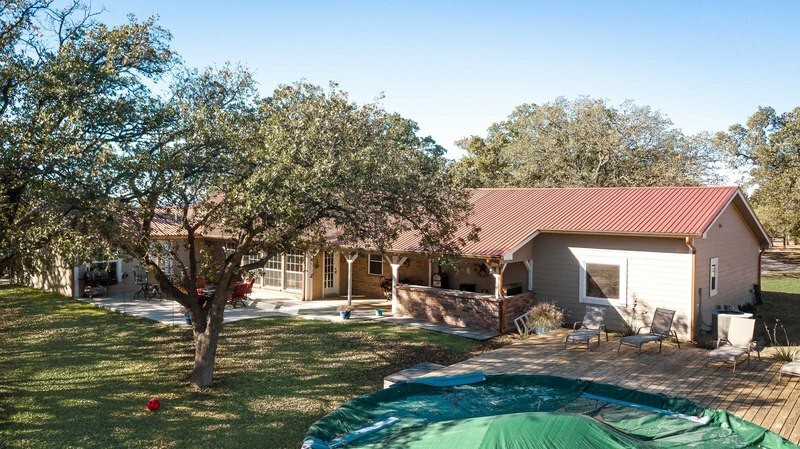 There is a covered porch in front and a covered carport in back. 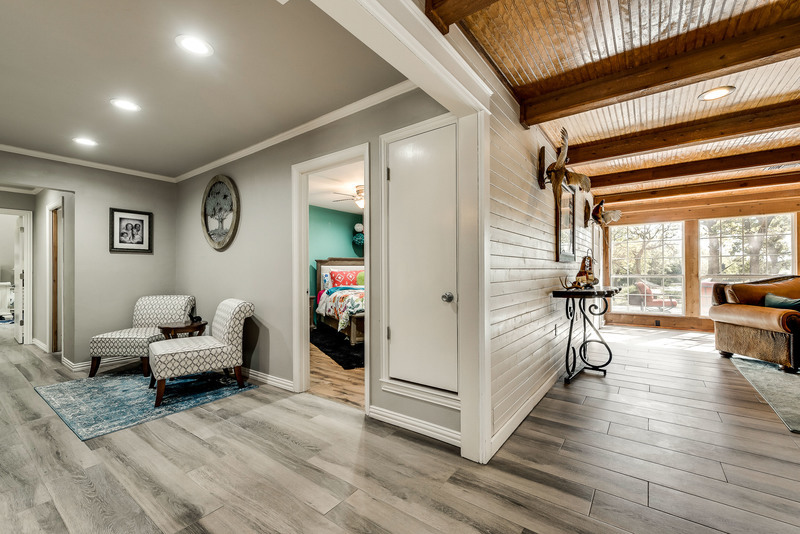 The house would make a perfect mother-in-law suite or an income generating rental unit. 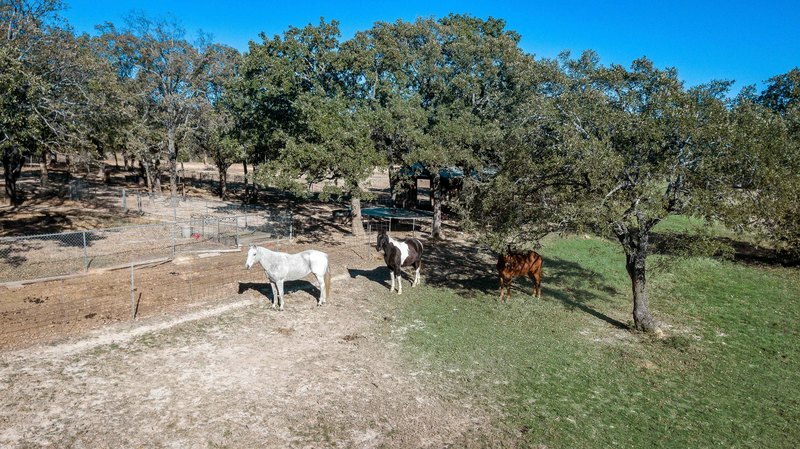 Have horses? 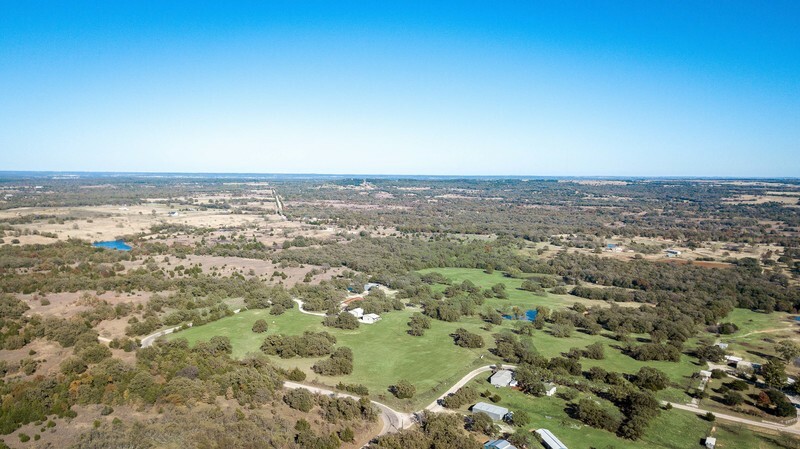 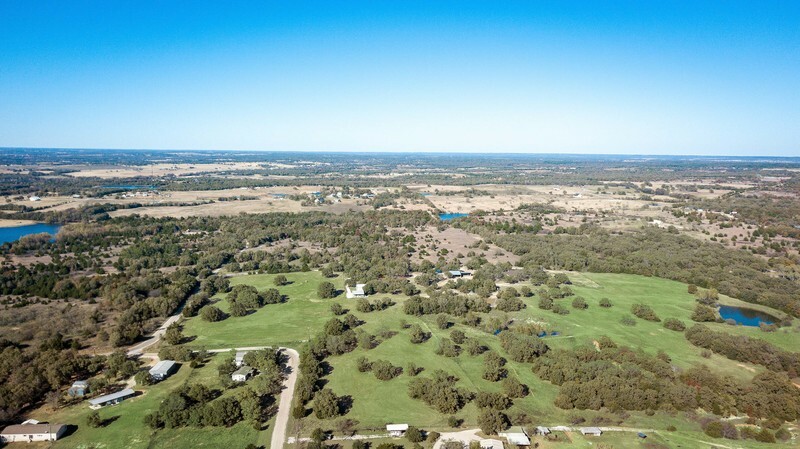 TADRA Point riding trails are all over the LBJ Grasslands, 15 to 20 minutes away from the property, If need a change from riding though your own 40 acres of rolling pastures. 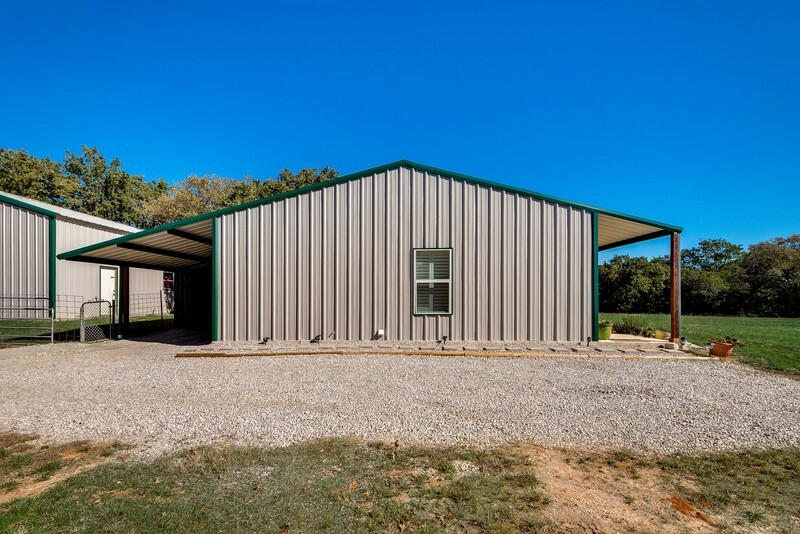 A 38’x38’ barn is located on the eastern side of the property. 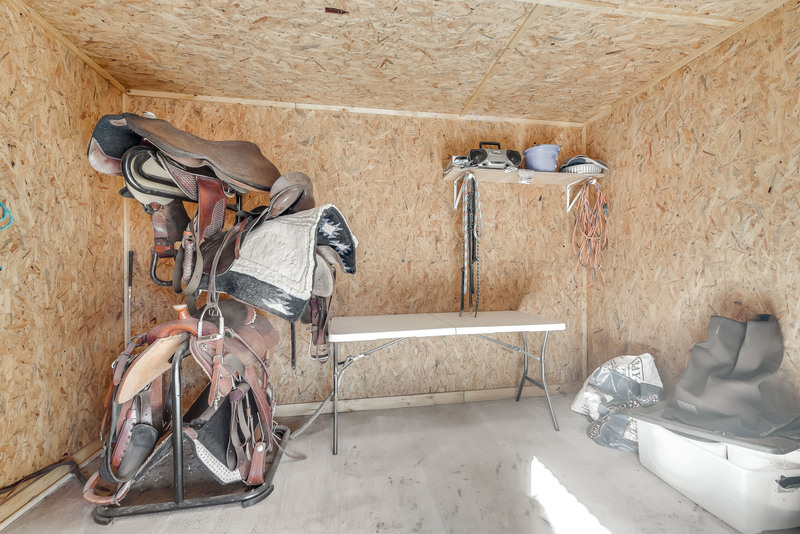 The barn has a 12’x12’ tack room, horse runs, full electric, lighting, and water. 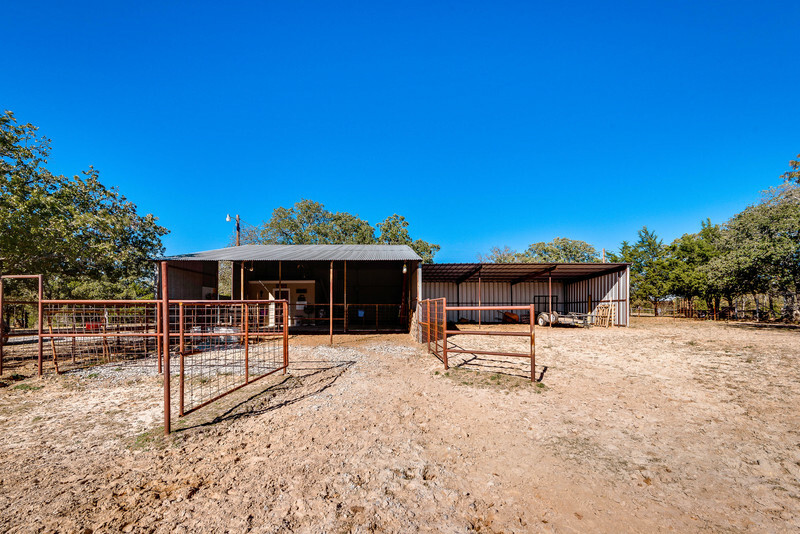 A 20’x50’ implement/loafing shed is located adjacent to the barn, and has an electric outlet as well. 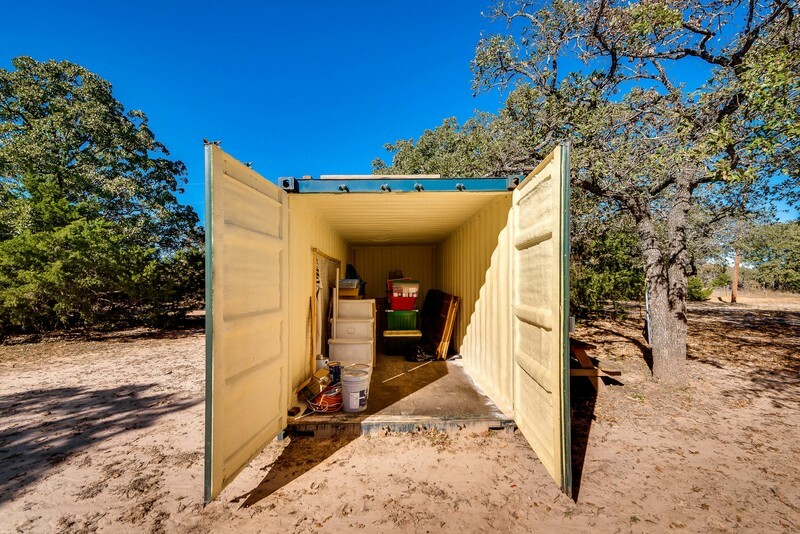 A 20’x20’ spray foam insulated shipping container is also located conveniently to the barn for more storage. 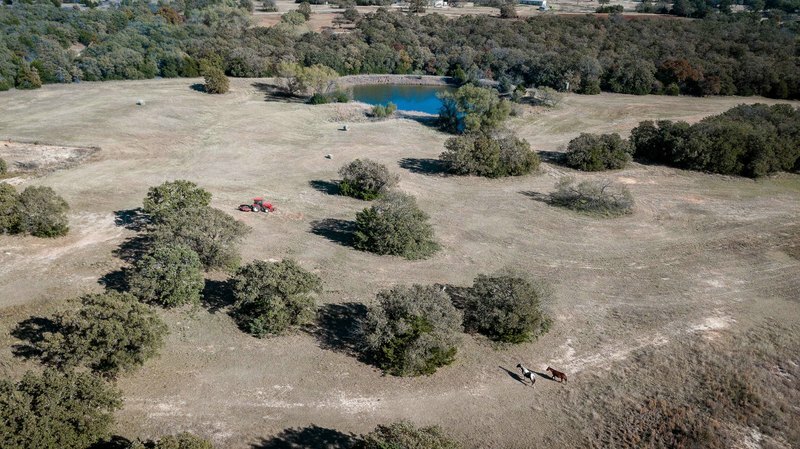 There are 3 stock ponds located on the property. 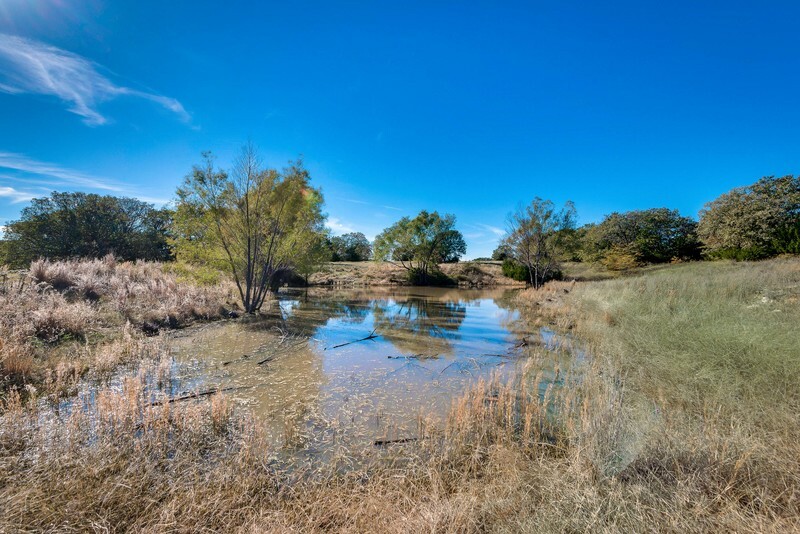 The stock ponds are used to provide drinking water for both horses and cattle. 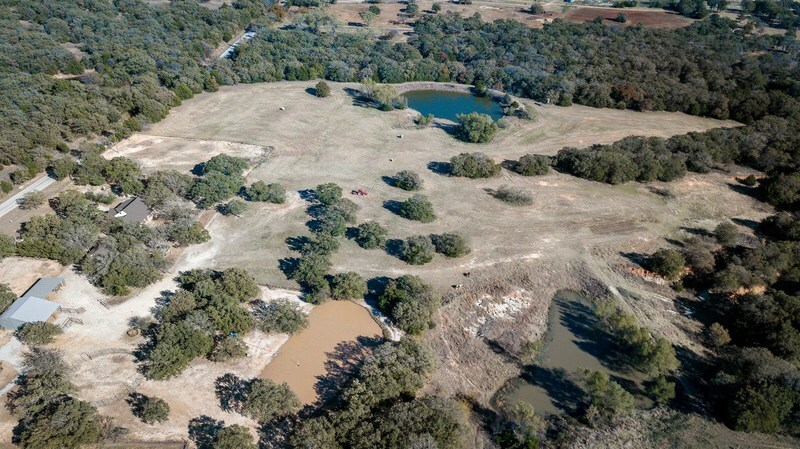 The largest pond is a little less than 1 acre in size and is fully stocked with large catfish and bluegill for fishing. 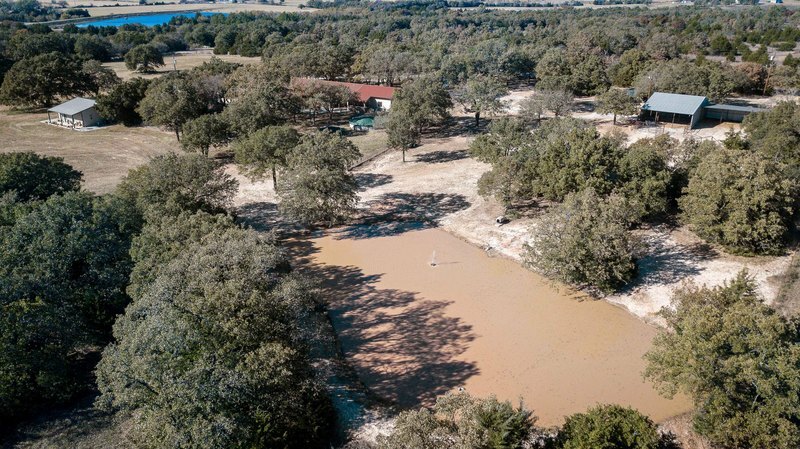 A land bridge divides the rear pond, which has a fishing dock, from the natural gulley/ravine which acts as a pistol range and hunting area due to the abundance of trees and natural cliffs. 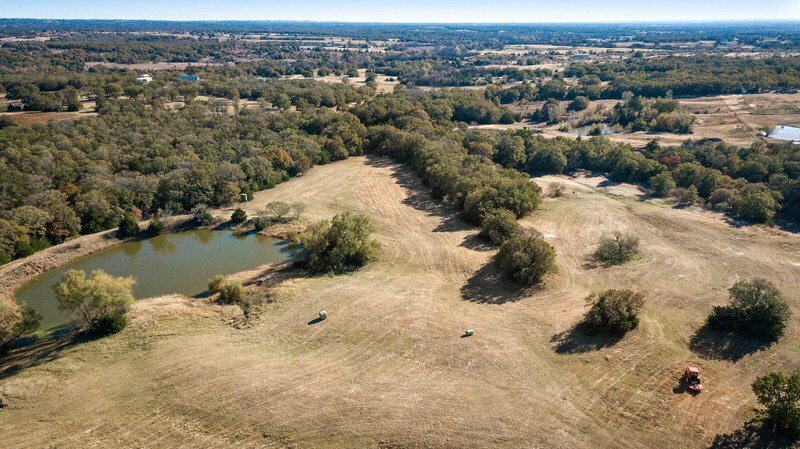 Rolling hills and changing terrain features are a haven for whitetail deer, feral hogs, bobcats, turkey, dove and other wildlife. 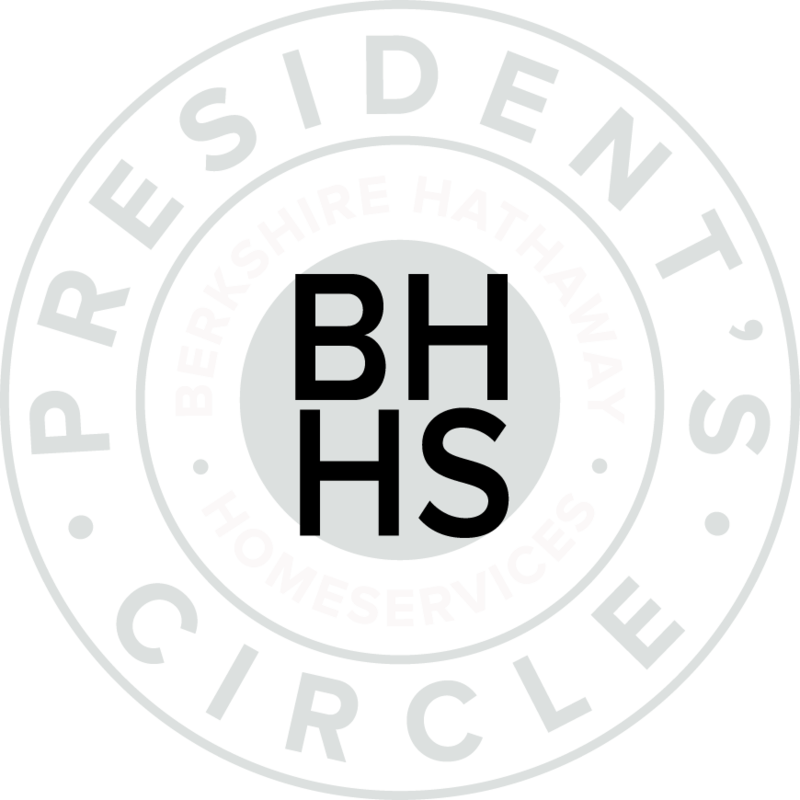 Make your property work for you. 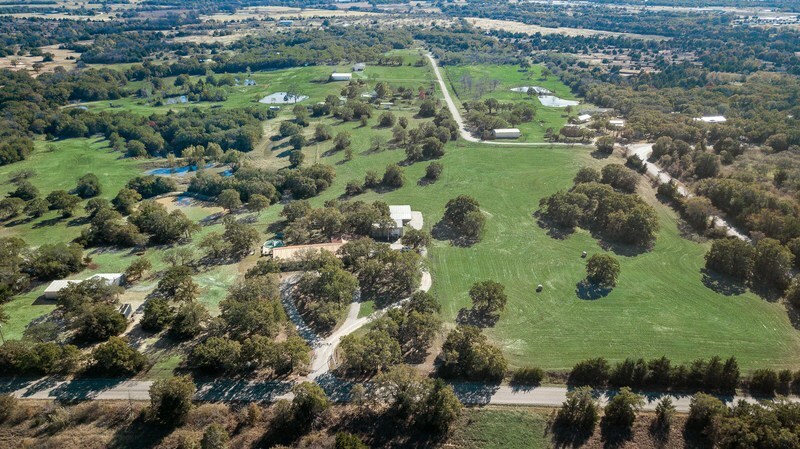 In front of the barn site, there is 200 amp service to build a future home site for family or rental income. 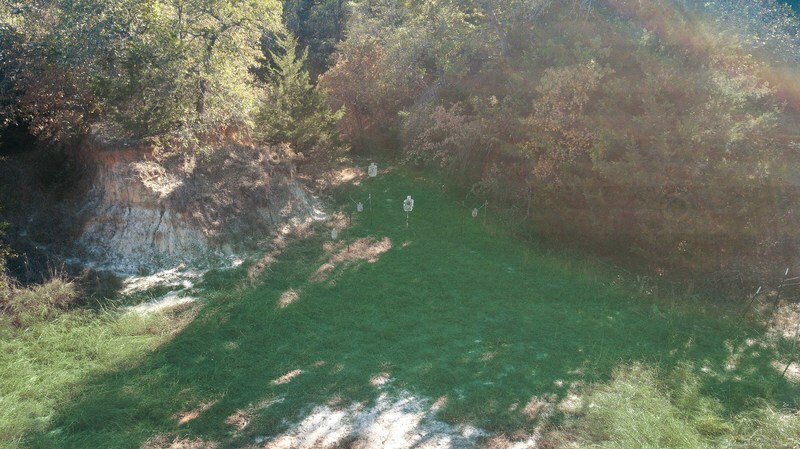 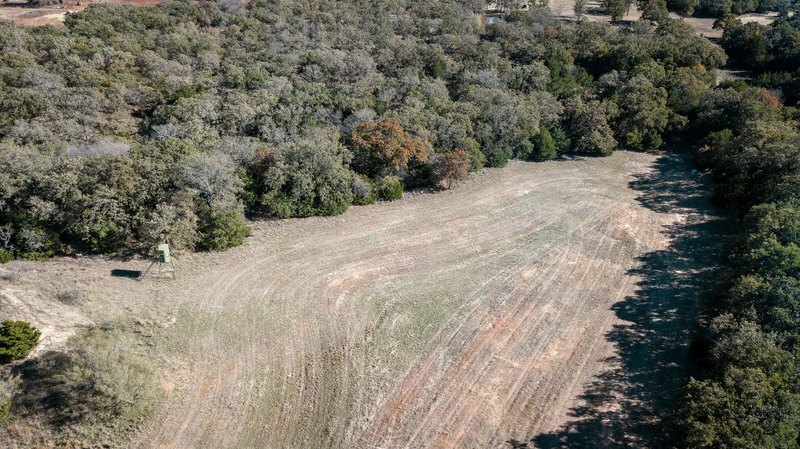 The north and west ends of this property have road side access to County Road 2585 which could be subdivided and sold as 2 acre lots since electric is available. 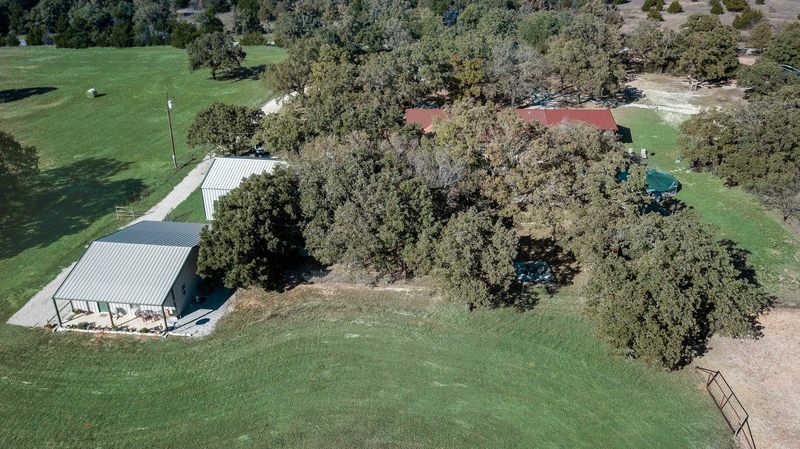 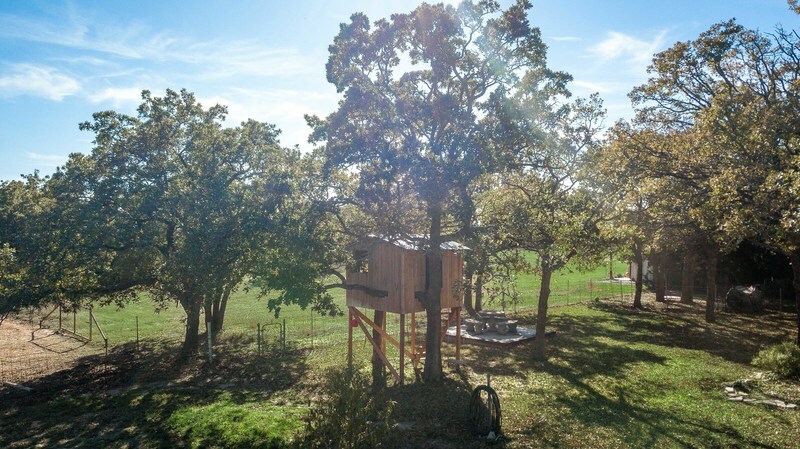 Over 35% of the property is covered with mature oak trees and some cedar trees which provide an abundant supply of firewood with income potential to be sold for $200 to $250 a cord. 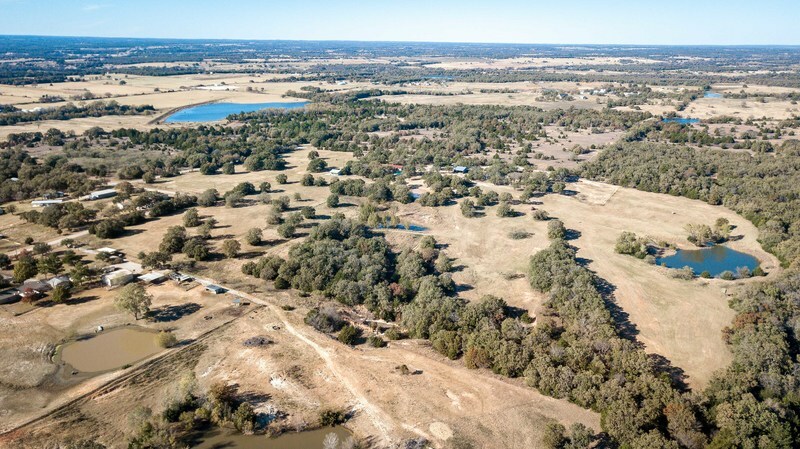 38+ acres are registered with the USDA as a Farm with an agricultural exemption on property tax due to the income produced from the sale of coastal and native grass hay bales. 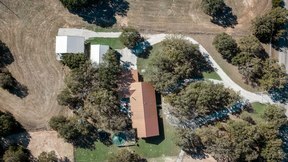 The property consists of sandy loam soil which drains well and produces good coastal grass. 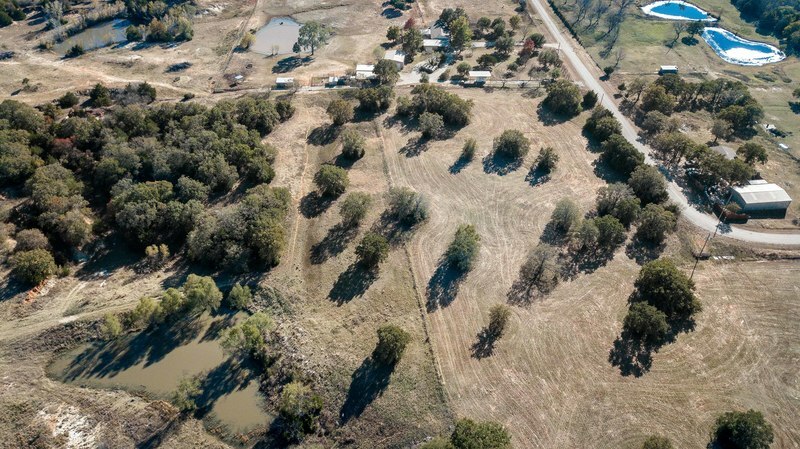 The grass is cut, baled and sold anywhere from $40 up to $85 a bale during drought years. 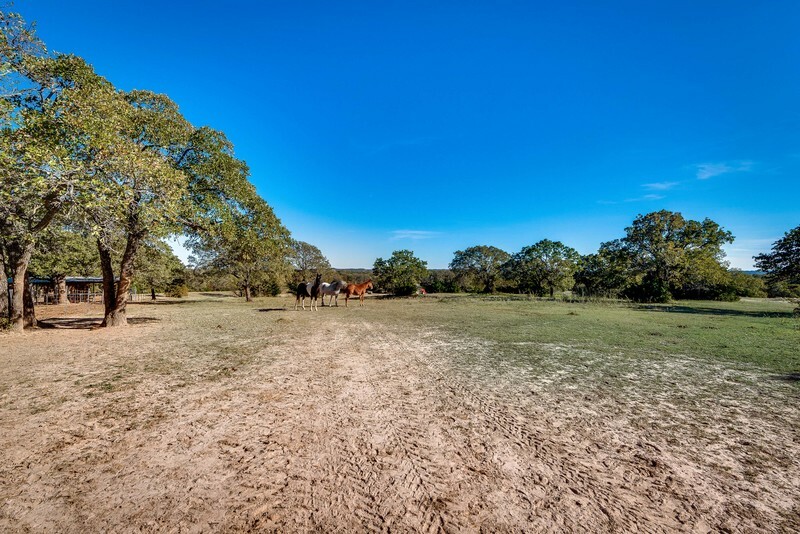 2018 production only yielded 15 bales due to the lack of rain. 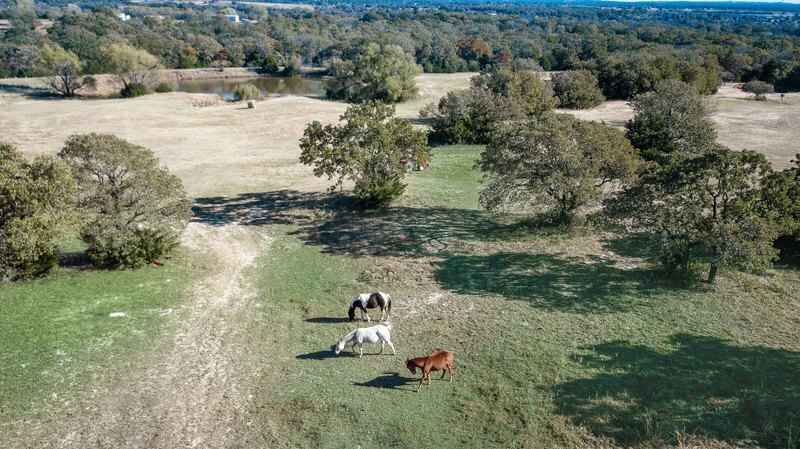 On average the pastures produce anywhere from 30-70 bales of hay in a season with good rain and 2 cuts annually. 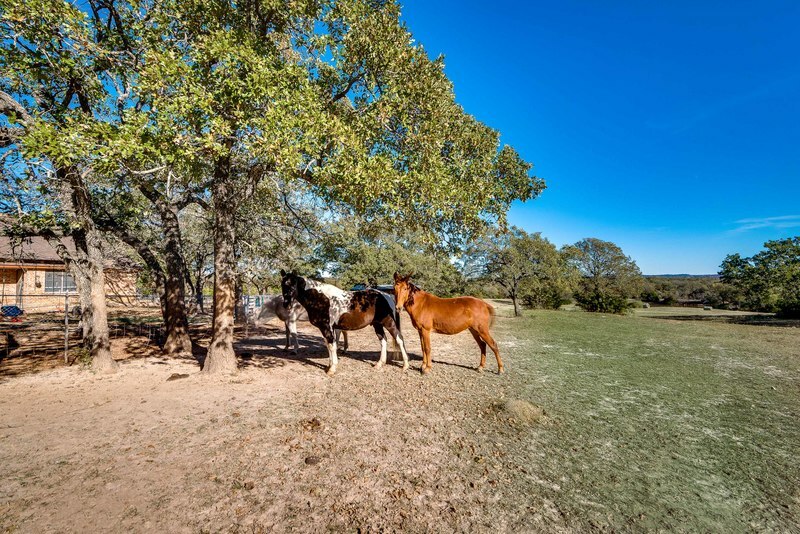 The land can also be leased to cattle owners for grazing for additional potential income.